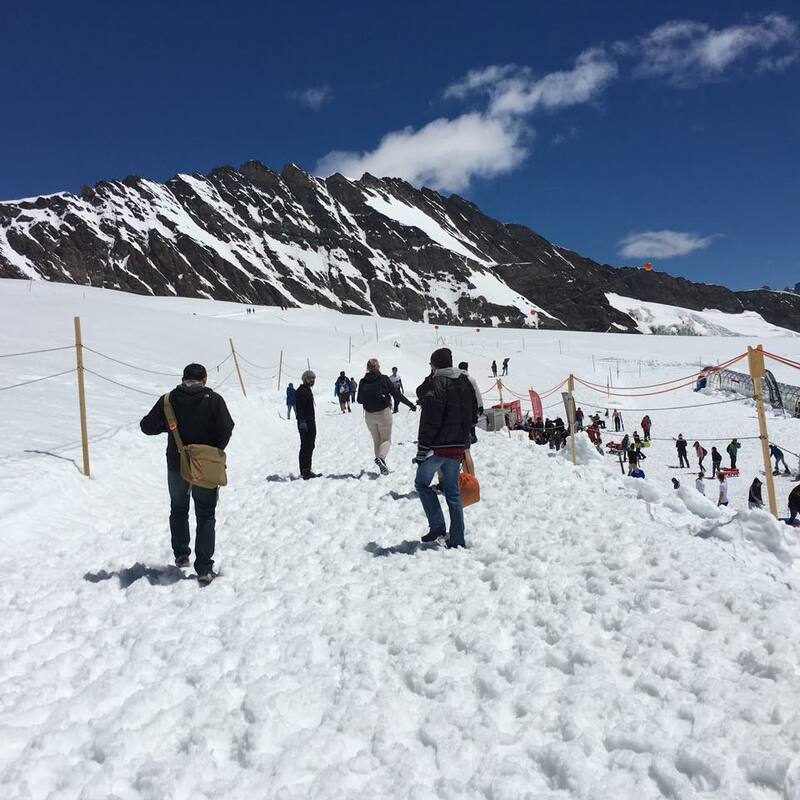 At its annual press conference, Switzerland Tourism noted that the country’s tourism numbers has increased exponentially. Even though the Swiss tourism industry had been hit hard by the strong franc some years ago which made holidays in Switzerland more expensive for Europeans, the country’s largest tourist market remains Germany, followed by the United States. The number of visitors from Southeast Asia and India also grew by +-10%. This shouldn’t come as a surprise as Switzerland is one of the top destinations on many bucket-lists – whether for skiing in the Alps, hiking, river rafting, eating cheese and chocolate, or simply taking in the incredible nature and vistas. And not only did the number of overnight stays in Swiss hotels increase by 3.8% in 2018 (to 38.8 million), but domestic tourism also rose by 2.7% on the previous year (with 17.7 million stays by locals). 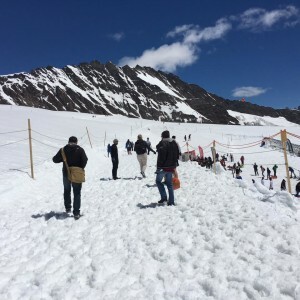 Switzerland also welcomed the 3.7% increase in European guests but mentioned a worrying statistic that, in mountain regions, this figure was still down 43% compared to 2008! 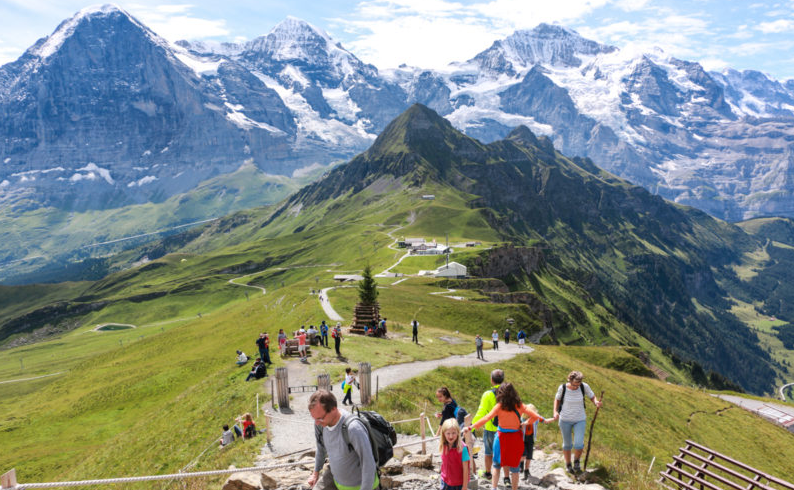 It seems Switzerland’s tourism association is optimistic about the year ahead as it expects the positive trend from Europe and demand from India, China, the US and Australia to continue. Have you heard about the Passion Play in Oberammergau? 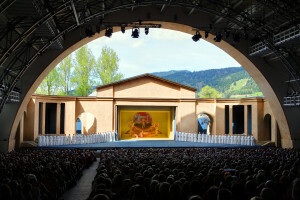 Have you experienced the Passion Play in Oberammergau? Many European countries and villages still honour age-old traditions by reenacting or hosting celebrations. This is usually to commemorate ancestors, or as a means to tell the stories to the younger generations so that they can pass it on to their children one day. Just think of Carnival which originated in Greece between 600 and 520 BC. This feast of “carnis levale” marked “farewell to the flesh” and came before a great period of abstinence and fasting: Lent. These days the festivities are extravagant, and the largest carnival in the world is now in Brazil. 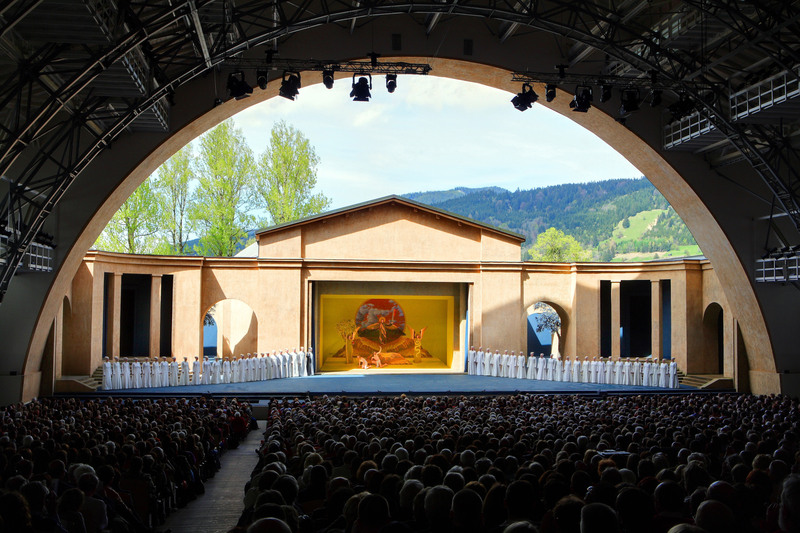 Another great example is the Passion Play in Oberammergau – a town in the Bavarian Alps, Germany. 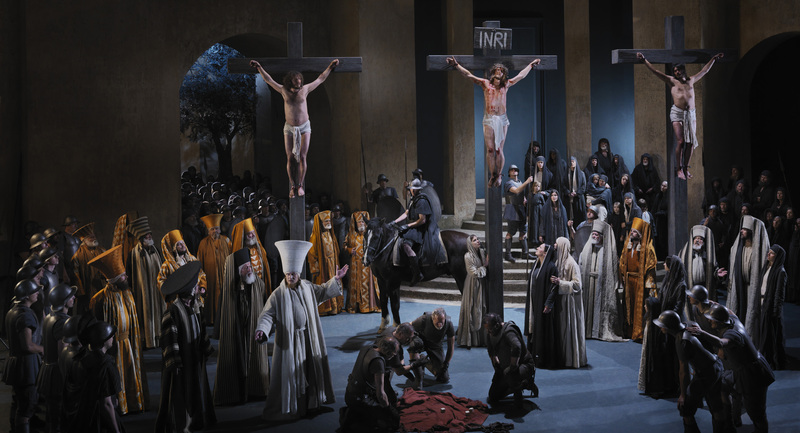 The tradition of the Passion Play began nearly 400 years ago when the plague raged in many parts of Europe, not sparing the town of Oberammergau. In 1633 the Oberammergau villagers promised to perform the suffering, death and resurrection of Christ every tenth year, if no none was to die of the plague anymore. God answered the villagers’ prayers and subsequently, in 1634, the first Passion Play took place. The promise has been kept until today. 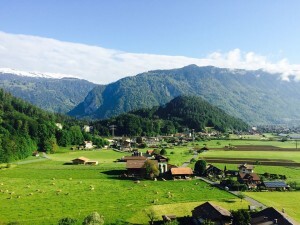 Pastor Daisenberger writes in his village chronicles: “The first decades of the 17th century went by in peaceful calm for the people of Oberammergau. But then followed the Thirty Years’ War with all its hardships from 1618 until 1648, which under the name of the Swedes’ War lives on the memory of the people. “As early as 1631, infectious diseases spread in Swabia as well as in Bavaria. This village was spared by dutiful vigilance until the church festival in 1632, when a man named Kaspar Schisler brought the plague into the village. C the World is excited to be taking a group to see the Passion Play in 2020! We have various packages available, all of which include 1 night’s accommodation in Oberammergau, as well as a ticket to the Passion Play. 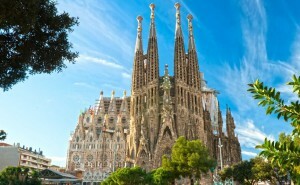 In addition to the Passion Play, we will visit some of the highlights in Europe. Places like the majestic Neuschwanstein Castle, Munich, Innsbruck, Vienna, Salzburg, Budapest and much more. 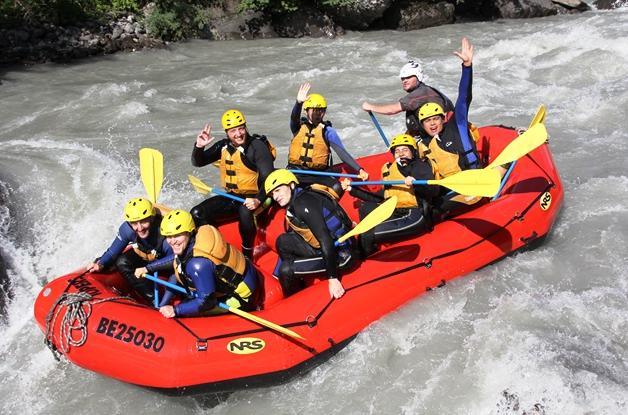 Packages are starting from R27,950 per person including flights! Please compare this price to ANY other packages available. PLEASE NOTE: Tour prices advertised are based on an exchange rate of 1 Euro = ZAR 16, and a total flight price of R11,000 pp for return flights and airport taxes from Johannesburg. A deposit of R3,500 per person is required within 7 days of making your booking to secure your space. A further R3,500 deposit is due 1 year before departure. Full payment is required 2 months prior to departure. Summertime and the living’s easy. One thing’s for sure, the living is surely easy in Thailand. Apart from jaw-dropping scenery, there’s also a really unique culture to experience and the most wonderful local people to interact with. Krabi, specifically, is cool for many reasons. For one, it’s a part of Thailand that isn’t smothered by tourists like Phuket (just yet) and is seen as a more ‘rural’ part of the country. Tourism is however definitely on the increase. 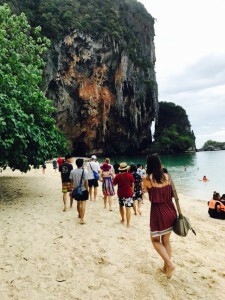 You can have the time of your life by just chilling on one of the beaches that looks like it should be on a postcard or in a magazine but in reality, Krabi has way more to offer than just that. Even if you’ve never done it before, rock climbing on some of the most magnificent limestone cliffs in Krabi is something you’ll remember for the rest of your life. Do some research before you go on the various companies that organise rock climbing excursions and make sure they offer some basic training if you’ve never tried your hand at it. Perhaps the thought of climbing 1,237 steps is a bit off-putting, but let’s be honest, the most breathtaking views rarely come with a lift or an escalator. 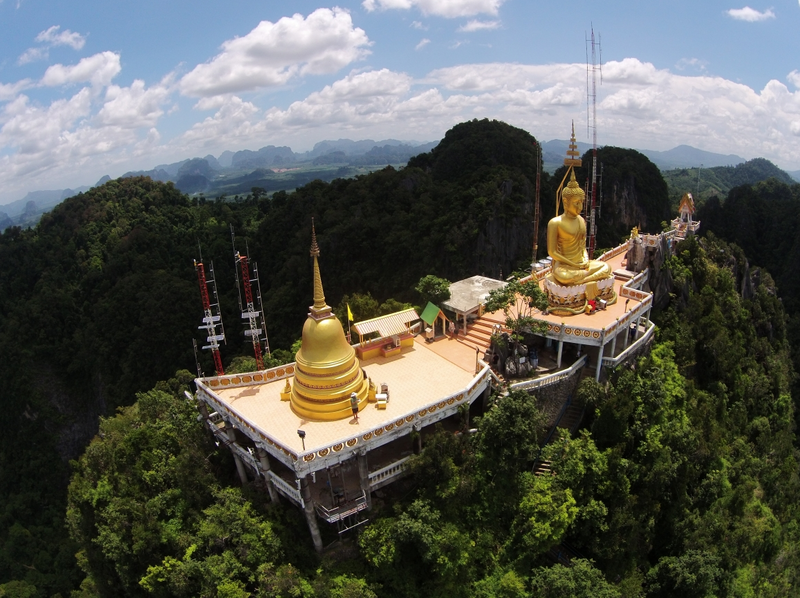 The Tiger Cave Temple, a meditation centre for Buddhist monks surrounded by a network of caves, is situated close to Krabi town. You can easily get a tuk-tuk to take you, or organise a transfer from your hotel. At the summit of the temple, you’ll find soaring views to the Andaman Sea and you can even see Phi Phi Island in the distance. When you get back down, be sure to go for a full body massage or just a leg massage so that your body won’t hate you the next day. Hop on a long tail boat and make your way to Railay Beach for some swimming and jumping off the rocks into the ocean. You can also take a walk to the Railay beach viewpoint or simply whip on your swimming goggles and marvel at the beautiful sea life. Krabi has plenty to offer the curious traveller, from white sandy beaches to jungles and waterfalls and everything in between. When will you make your way to explore all it has to offer? We know everyone’s bucket lists look different. Maybe you’re and adventurer who can’t wait for your next bungee jump or skydive. 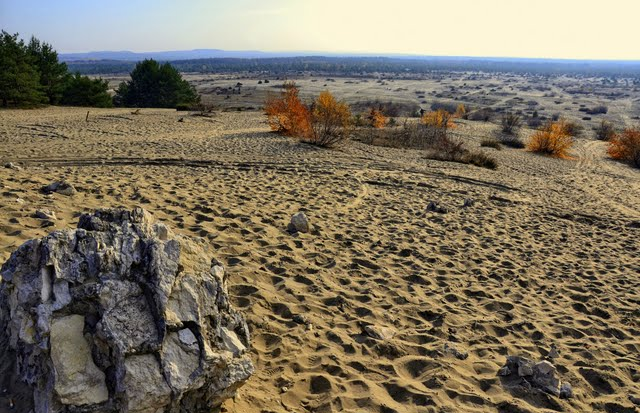 Maybe you’re an avid hiker, ticking off top trails around the world. Maybe you’re a World Heritage site visitor, a diver, a beach hopper. 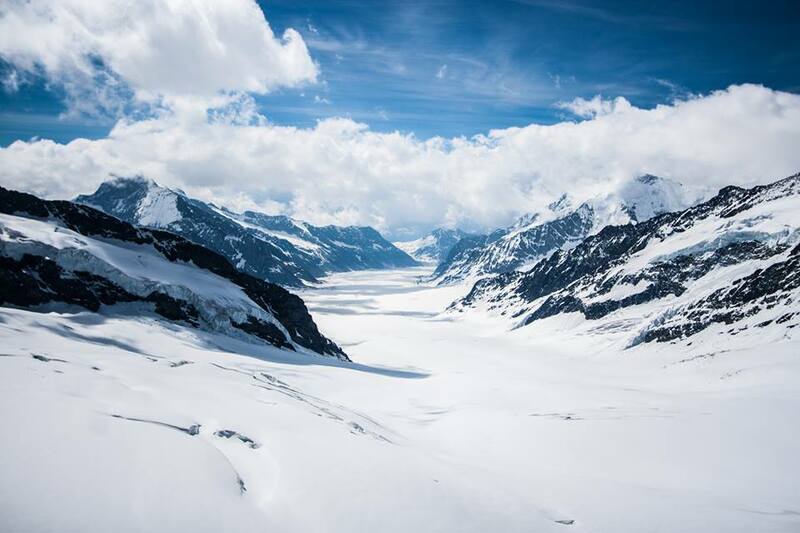 Whichever type of traveller you are, we think we might be able to convince you why you need to go skiing in the Alps before you kick the bucket. Where to start, right? The Alps are massive. 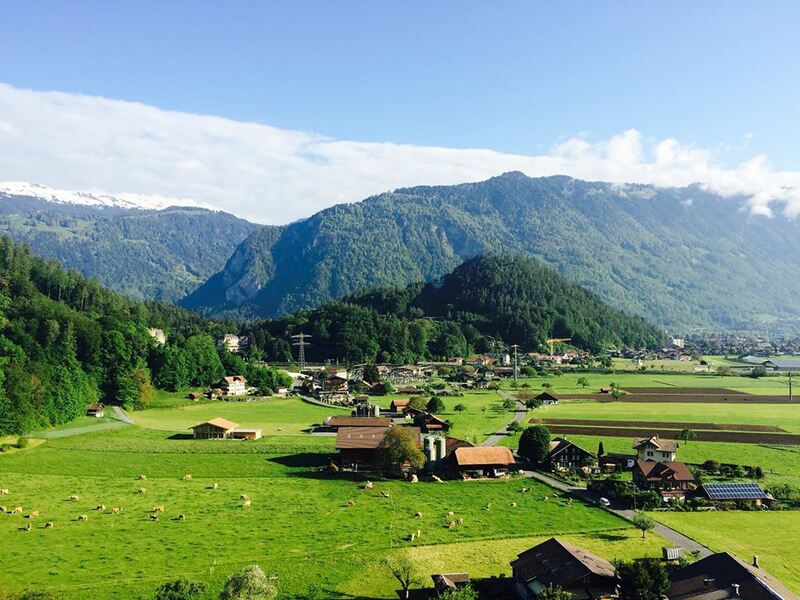 Do you go to Germany, Austria, Italy, Switzerland, Slovenia, Lichtenstein, Monaco, or France? 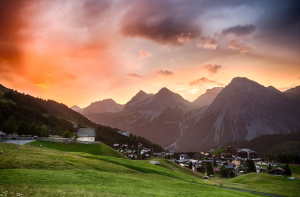 Not that you’d be disappointed by any one of those locations, but there’s a specific charm around the French Alps that we just can’t pinpoint, or get enough of for that matter. Okay, all skiing and overly activeness aside, a ski holiday in the French Alps also includes that European atmosphere and alpine charm, with people from all over the world strutting their mountain gear such as ski jackets, boots and beanies and speaking their various languages but also mingling with each other after a day’s ski session over a beer or a glass of wine. There is a particular special emotion that goes along with the above mentioned scenario which is quite difficult to put into words. Add to that the fantastic French mountain food, which is obviously enjoyed with wonderful French wine to further warm the heart. 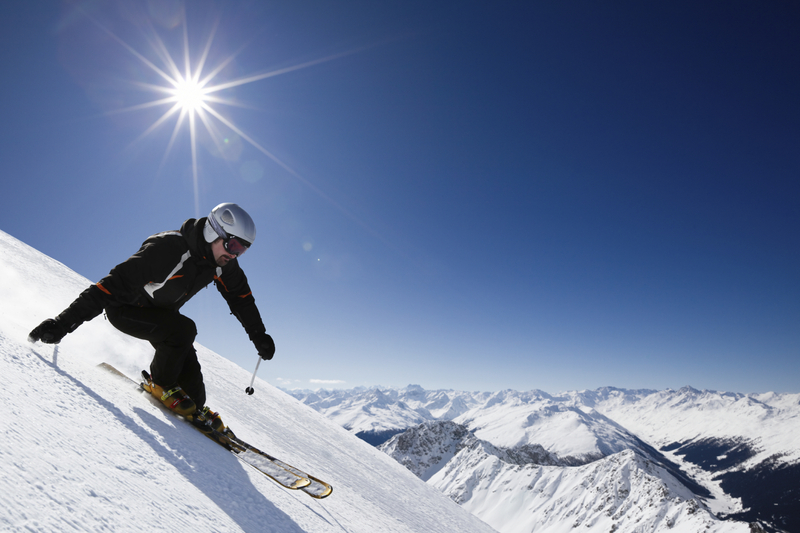 Many of France’s mountain ranges are over 2000m high, so that means the country offers some of the most snow-sure resorts in Europe as well as fantastic snow quality. 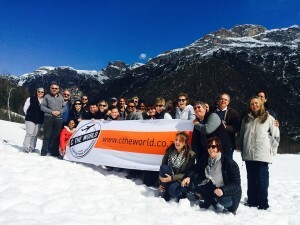 C the World offers an unbeatable week of skiing at Tignes where 300km of prepared piste awaits in the French Alps. 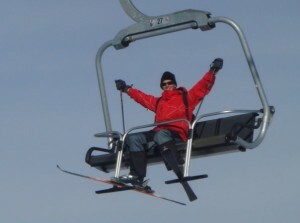 And yes, there’s something special for all levels of skiers and snowboarders. 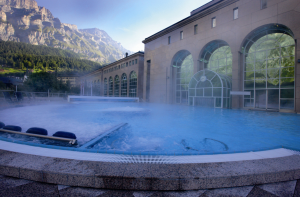 In addition, travellers stay in cosy chalets and a highlight for many is defrosting and unwinding in a chalet hot tub and spa after hard day’s work on the slopes. Now that, friends, is what we call an epic holiday. Best of all is you don’t have to keep reading and dreaming about it – you can actually do it! Scottish traditions have been passed on for close to a thousand years now, since the earliest days of the clans in the 12th century. Gaelic is a Celtic language and you’ll mainly hear it being spoken along the northwest coast of Scotland and in the Hebrides islands. In 2011 there were almost 60,000 Gaelic speakers in these areas in Scotland. This language is something truly unique: when you first hear it, you almost think it’s Dutch, then you realise, no… perhaps it’s some Eastern European language? That’s not too far off, actually, as the Celts hailed from Central Europe and Asia in pre-Roman times. They were the ones who brought the language to Ireland and Scotland and it has remained in some areas ever since. 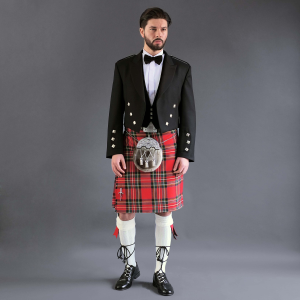 Nothing says “true Scotsman” quite like the Highland Dress which consists of Scottish kilts, known as ‘The National Dress of Scotland’. Dating back to the 16th century, they have deep cultural and historical roots and are a sacred symbol of patriotism and honour. Scottish kilts are made of tartan and usually worn around the waist at formal occasions (such as weddings, for example), and accompanied by a sporran (a small bag worn over the kilt), a kilt pin (which holds the two pieces of tartan together at the front), and a sgian dubh (a small dagger which sits in the sock). 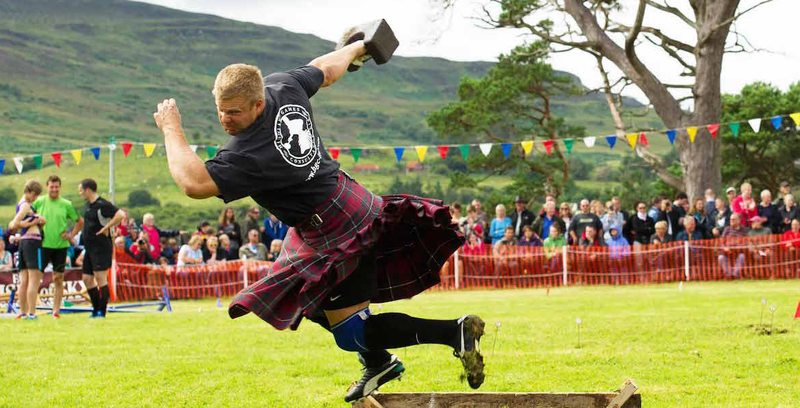 Scotland is known for being a great sporting nation, however, nothing beats the country’s classic, age-old Highland Games. May to September is when the action-packed games begin. Across the country at over 80 different events, competitors put their muscles to the test wearing their Scottish kilts. The games include heavy contests such as the hammer throw, tug-o-war and the caber toss, to field events including a hill race and a cycling competition. It is believed that the Highland Games originated in the 14th century as a means of recruiting the best fighting men for the clan chiefs, and were popularized by Queen Victoria to encourage the traditional dress, music, games and dance of the highlands. The sound of bagpipes being played in harmony and in-tune, causes goosebumps even in the most unemotional person. The bagpipe is Scotland’s national instrument and is usually played at any big events. 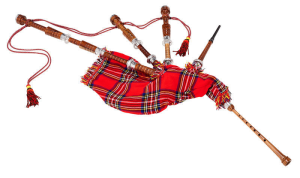 Bagpipes consist of a bag (usually made of sheep or elk skin) filled with air, then pressed by the arm to push air through three pipes which rise out of the instrument. There is a fourth pipe, holding nine holes for chord and pitch changes. The legend of the Loch Ness Monster is probably one of the most widespread stories in the world and has been bringing people to the dark expanse of Loch Ness in the Scottish Highlands for centuries. 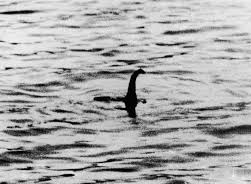 The mystery of Nessie lives on to this day as many travellers claim that they’ve seen, even for a split second, the enormous creature’s snake-like head and long, thin body, with one or more humps protruding from the water. 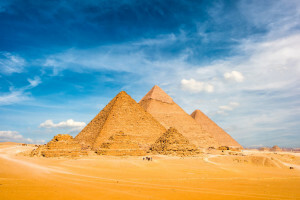 Egypt isn’t in the top five of travellers’ “must-see places” – unless they are perhaps historians or geologists of sorts. But don’t be so easily mislead. 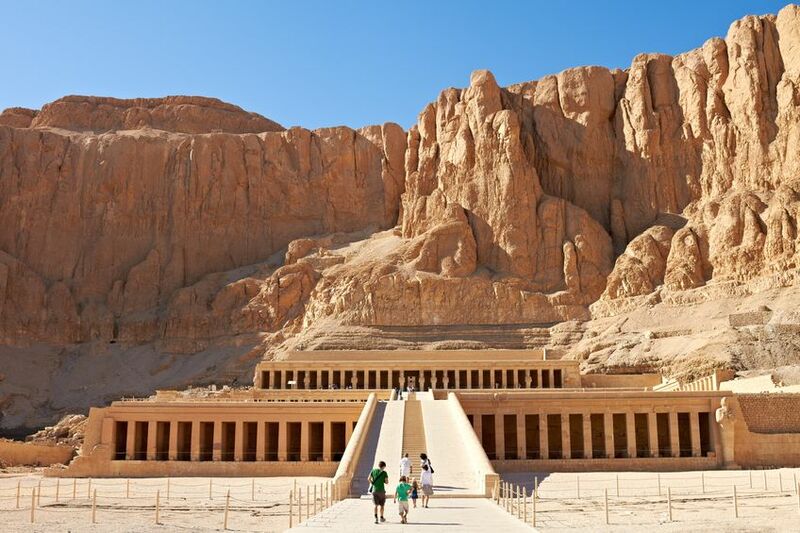 Visiting Egypt with its fascinating history and superbly preserved ancient structures not even to mention incredible diving spots is a sight that’ll linger in your mind for the rest of your life. Travelling to Egypt without seeing the Great Pyramids of Giza is like going to the beach and not dipping your toes in the water. It’s just not right. Many may try to burst your bubble with the fact that the city of Cairo is right on its doorstep, not a desert as you might imagine. Though that may be disappointing to some, it cannot take away from the fact that Giza is not only one of the Seven Wonders of the Ancient World but also a UNESCO Heritage-listed site. Marvel at the six pyramids and ancient burial tombs built for the kings of the 4th dynasty around 4,500 years ago. Aswan is a gem to be discovered and you will particularly love it if you find ancient history intriguing. 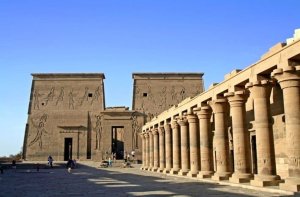 The romantic Temple of Philae was one of the last pagan shrines built in Egypt. It is a majestic Greco-Roman Egyptian temple dedicated to the goddess Isis, the goddess of love. Here you can also see what is believed to be the last hieroglyph carved in Egypt! Philae was never completed – work stopped on one of the outer colonnades in the late 200s AD during the reign of the Roman Emperor Diocletian. 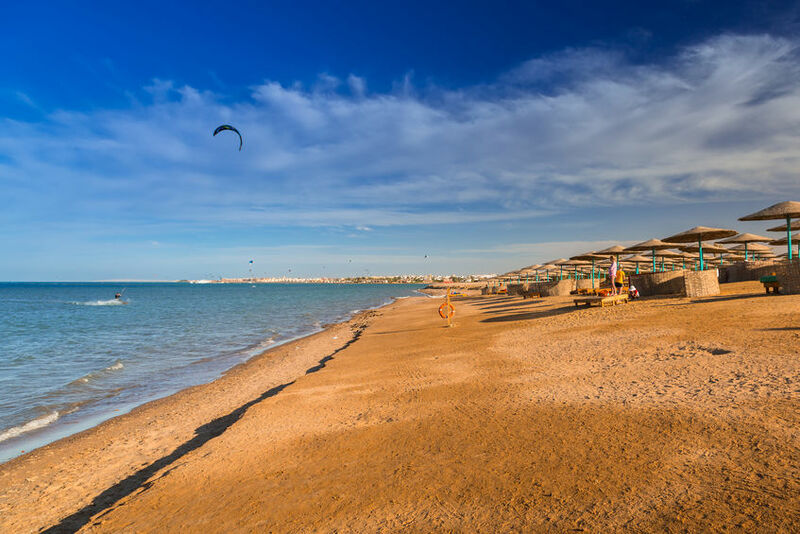 Hurghada has undergone a massive transformation from a small fishing village to a popular tourist destination with plenty on offer including diving, water sports, beaches, shopping, nightclubs and bars. People now refer to it as the “capital of the Red Sea” and it is a definite must-visit when you’re in Egypt. 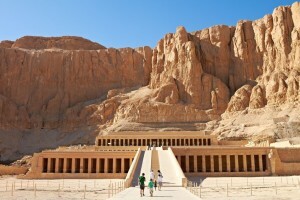 With breathtaking tombs, temples and monuments that have survived from ancient Thebes, Luxor is often called “the world’s greatest open-air museum”. But it’s more than that. Thebes’ riches and power began attracting Western travellers already from the end of the 18th century. Its grandeur is both mystifying and marvelous. 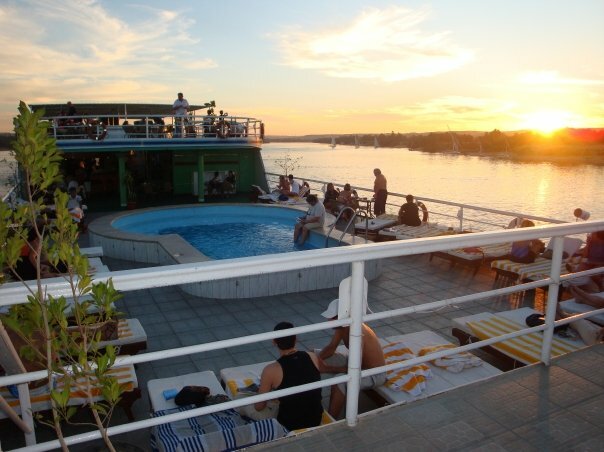 Another great highlight is sailing along the fertile bank of the age-old Nile River on a 5-star cruise boat while admiring the cities, smaller towns and intriguing structures. Join C the World as we explore these ancient Egyptian treasures scattered along the Nile River! Known as the Land of Smiles, as you perhaps already know, Thailand is a land filled with colour and fascinating traditions. 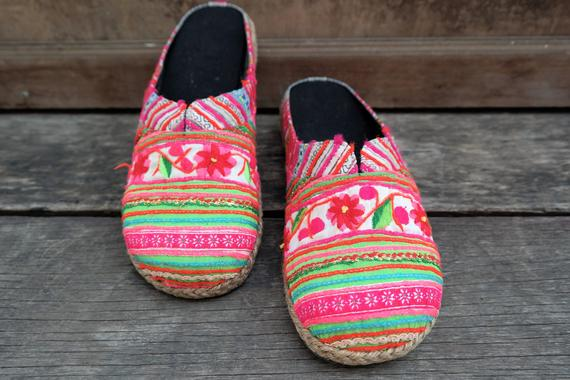 Did you know about these fascinating Thai traditions? Thai people believe the head is the most important part of the body and the feet the least important. Showing the soles of your feet to someone is regarded utterly disrespectful, as is touching someone’s head without permission. For this reason, Thai people will always remove their shoes when they enter someone’s home or even a restaurant. 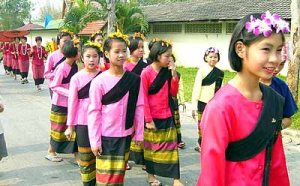 Walking down the street in Thailand, you will notice that many people wear the same colour clothes. This is no coincidence. Each day of the week has a corresponding colour: on Sunday, they wear red, on Monday yellow or cream, on Tuesday pink, on Wednesday green, on Thursday orange or brown, on Friday aqua, and Saturday purple or black. Though not everyone follows this dress code, usually those who work for the government will follow the “colour of the day” rule. You won’t easily find a Thai person who loses their temper. We just don’t know how they manage to always be so kind and friendly! In Thailand “mai pen rai”, meaning “don’t worry”, is one of the most frequently used phrases and actually the reason the country is nicknamed the Land of Smiles. When you visit Thailand, you may leave your handshakes and hugs at home. Here, the appropriate way to greet or thank is the “wai”. The wai is almost like a small bow – a person puts their hands together and drops their shoulders forward so that their nose touches their hands. And the higher they place their hands on their face, the more respectful the greeting. Thai people are extremely respectful of their elders, so much so that people of different ranking and age are given particular titles. As a foreigner visiting, you will come across as respectful if you drop your head when someone older than you enters the room. Curious about the Land of Smiles? Contact us today on info@ctheworld.co.za to join us on our next trip to Thailand! 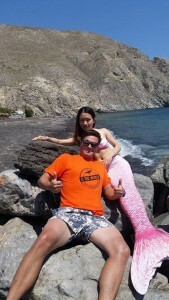 Other than being in the news for recent protests in the fight for independence, and four jailed Catalan separatist leaders currently on hunger strike, the capital of Catalonia, Barcelona, has the best of both worlds: it is located by the Mediterranean Sea and next to the Pyrenees mountains, which means it has sea and mountains as part of its scenery. 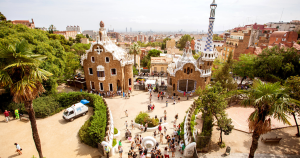 Antoni Gaudí played a huge role in Barcelona’s history. He was one of the most famous figures of Catalan culture and world architecture, and spent over 40 years designing the Temple of the Sagrada Familia – truly an astonishing piece of architecture which is still in the process of being completed. 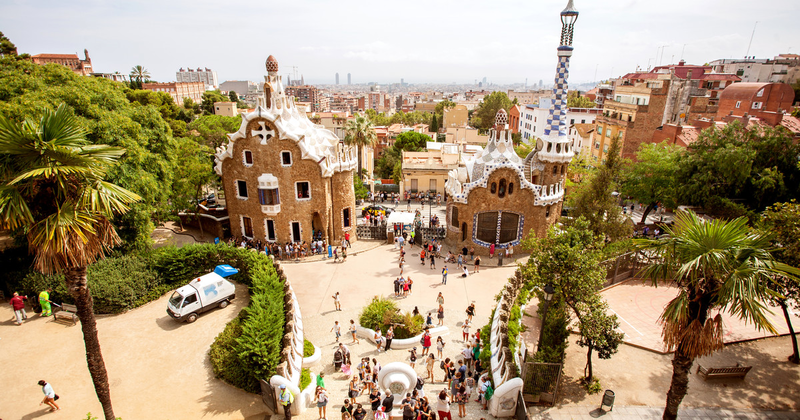 Other marvellous Gaudí creations include Colonia Güell, La Pedrera and Casa Vicens, among others. Park Guëll (another Gaudi jewel). Parc de la Ciutadella (in Born in the city centre). Laribal Gardens – complete with a staircase that leads down to the gardens of the Greek Theatre, an amphitheater dating back to the early 19th century. Parc del Laberint d’Horta, one of the city’s historic parks and the oldest of its kind in Barcelona, boasts a labyrinth made of a hedged maze of cypress trees as the central feature. 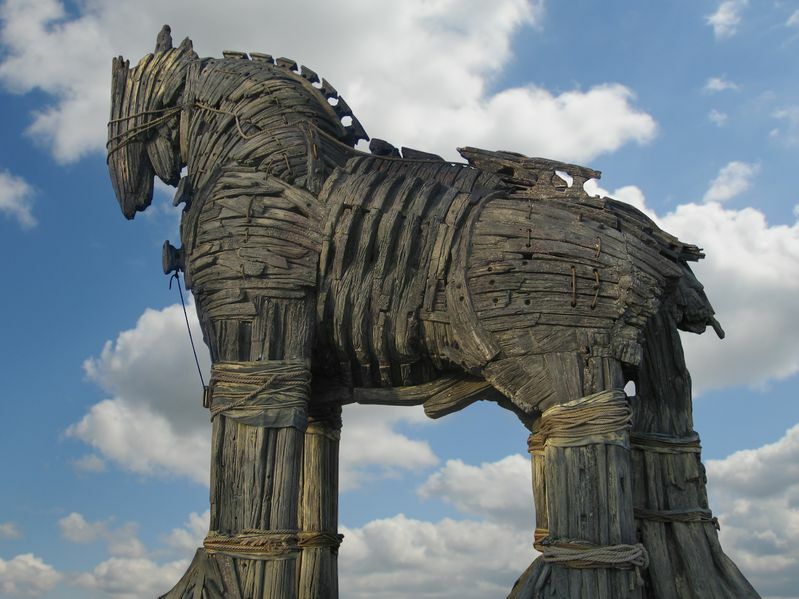 There are also numerous sculptures that depict figures from Greek mythology. 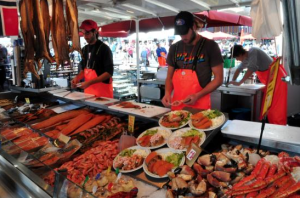 Certainly a highlight on the famous 1,2km-long street in Barcelona, Las Ramblas Street, is La Boqueria Food Market. Get lost in all the colourful flavours, fresh produce, flowers, and more. Once you’ve had enough of food, take a guided walking tour down the street and discover lots of lost tidbits that tell the history of this renowned street. 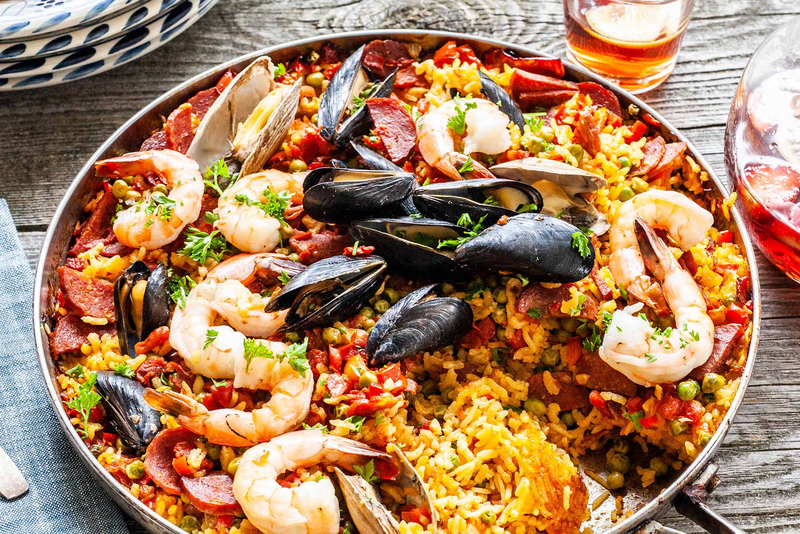 You can’t visit Barcelona and miss out on it’s most famous dish – paella! Paella is made of rice, saffron, chicken, or seafood, and cooked and served in a large shallow pan. You’ll find a great paella easily, but one of our favourite spots is at La Palmera, close to La Boqueria Market. Tapas is small appetizers or snacks typical in Spanish cuisine. 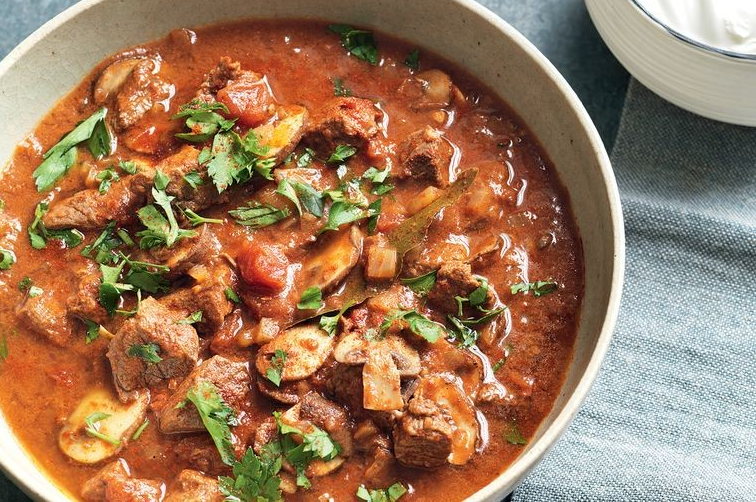 Though it is simple, it is delicious and actually easy to make: it can be whipped up from almost any ingredients (often left-overs) and can be served hot or cold. 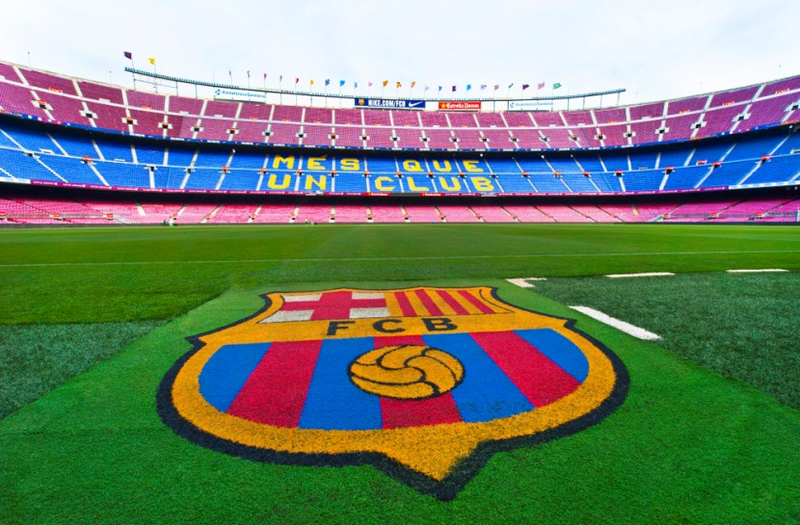 FC Barcelona’s headquarters, situated at Camp Nou Stadium, is the heart and soul of the Catalonian people. 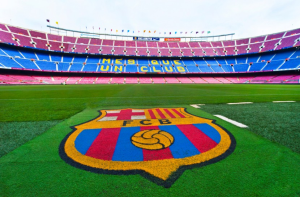 You’ll be impressed – even if you aren’t a soccer fan. 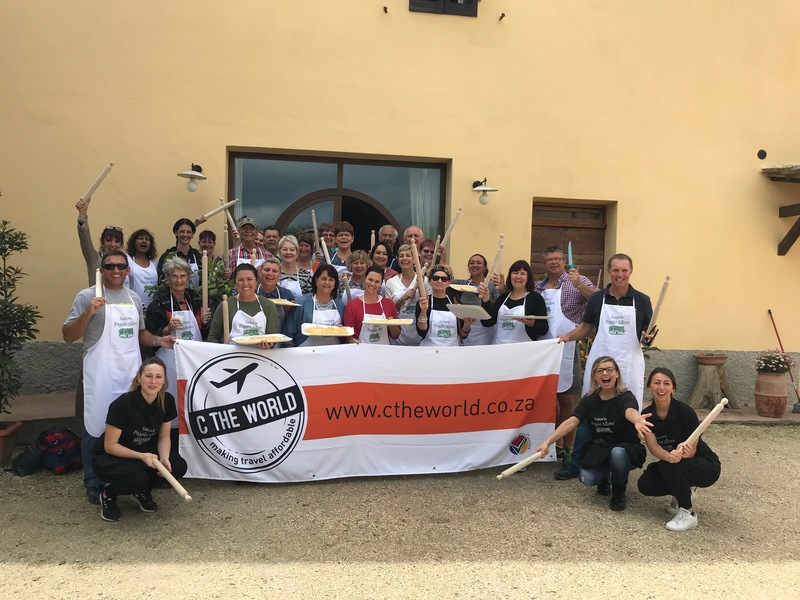 Join C the World on our next trip to Portugal and Spain in June 2019! Portugal has more than 1700 kilometres of coastline meaning countless beaches to get your tan on and plenty opportunities to immerse yourself in its refreshing waters. But with such a stretch of coastline, it can be overwhelming not knowing which beaches are worth a visit! 1. 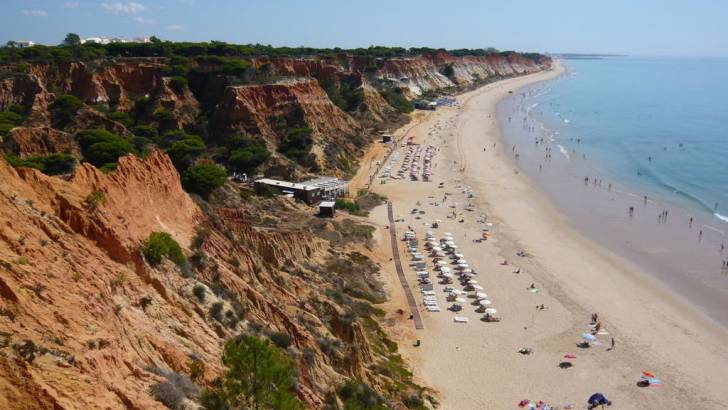 Praia da Falésia, Algarve: Praia da Falesia is renowned for the red and white cliffs which tower above the sand. What makes this beach great is not only that the cliffs block much of the northerly wind that often blows in the low season, or the bits of greenery along the cliffside, but perhaps mainly that it is such a clean beach. Praia da Falésia has consistently earned its Blue Flag Beach title. Another plus point is that space is never a problem – the beach stretches over six kilometres. You won’t be getting dirty looks from beachgoers as you plant your umbrella as chances are slim that you’ll be blocking anyone’s view. 2. 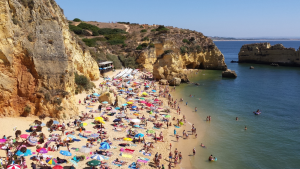 Praia da Marinha, Algarve: You’ve probably seen this beach before – perhaps not in person, but definitely on a TV ad. 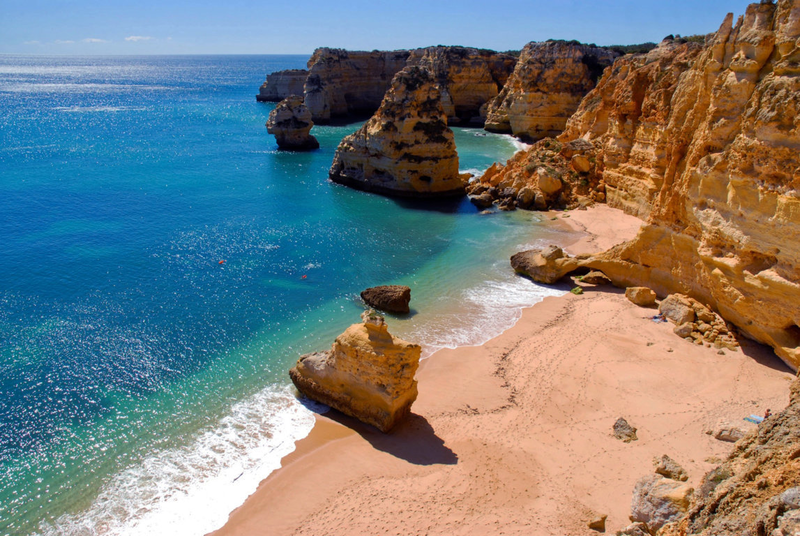 Praia da Marinha is often referred to as one of the best beaches in Europe with it’s turquoise waters (ideal for snorkelling), steep limestone cliffs and magnificent rock formations. Another highlight is that it is fairly difficult to get to, meaning less crowds. 3. Benagil Sea Cave, West Algarve: If exclusivity is high on your list when it comes to beaches, your best bet is to frequent a beach that you can only access from the water. 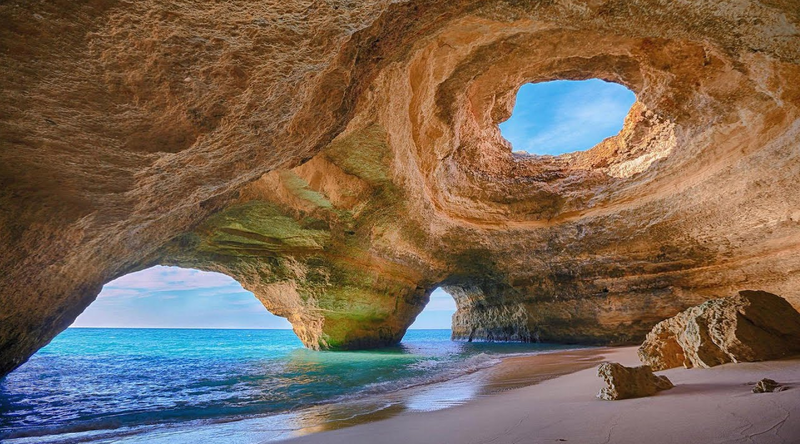 Benagil sea cave is a watery pantheon situated next to Benagil beach with sunlight streaming in through a hole in its domed ceiling onto the tiny beach. The only way to get there is to swim or kayak. If this spot gets too crowded for your liking, you can swim or kayak 100 metres further to Praia da Corredoura, which has another beautiful sea cave. 4. 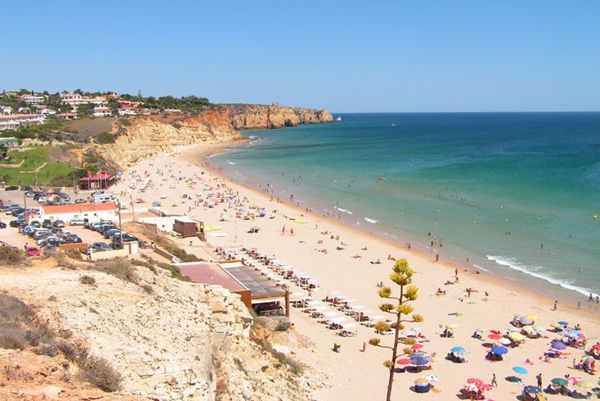 Praia Dona Ana, Lagos: The Praia Dona Ana’s modest beach is sheltered by lofty sandstone cliffs and aquamarine waters softly stroke its golden sands. The only access to Dona Ana beach, however, is via a long flight of steps that makes the beach inaccessible for some people with mobility challenges. 5. Praia de Porto de Mos, Lagos: Praia de Porto de Mós is another large sandy beach and has some fun waves for surfers and bodyboarders. With facilities along the beachfront, Praia de Porto Mos gets busy during the high season. C the World offers affordable Spain & Portugal Tours, Packages & Holidays in June 2019. Book your spot now! Istanbul is world-renowned for its array of spices and people come from far to roam the markets. The Spice Bazaar in Istanbul is probably the most popular. It’s an indoor market consisting of 88 shops where mounds of colourful spices share a space with dried fruits and teas for sale. 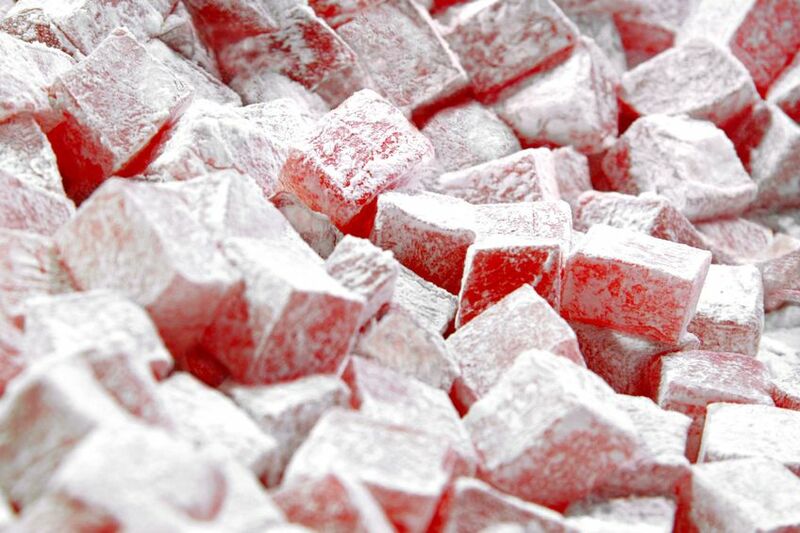 Apart from the spices, Istanbul is also a food-lover’s dream. Imagine cheese, olives, fruit and vegetables, slow-cooked lamb, fresh fish and real Turkish delight that melts away in your mouth. 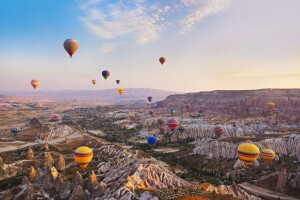 One of the most scenic geographical sites Turkey has to offer is Cappadocia. 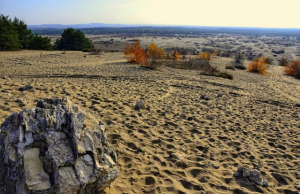 A semi-arid landscape with chimney-like sandstone structures, worn away by the elements, pops out of the earth. Many of them have also been converted into cave hotels. 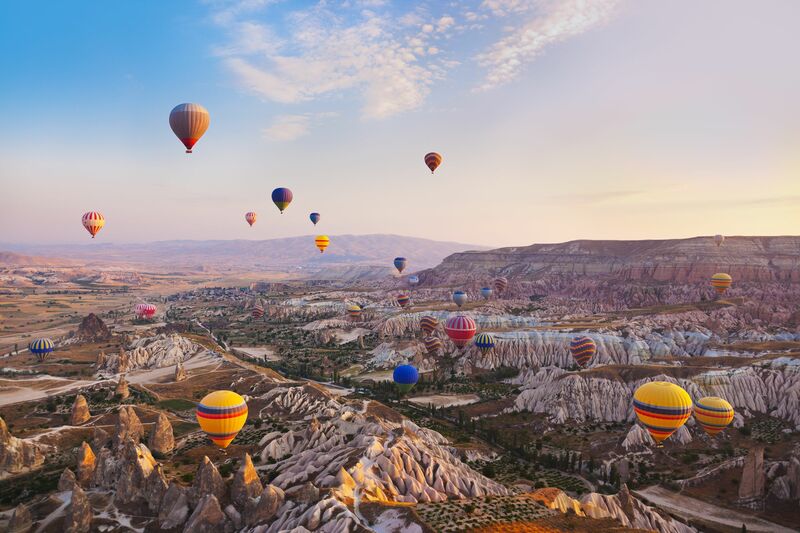 Cappadocia is the place you probably drool over every other week on Instagram with someone sitting on a rooftop with a drink in hand overlooking the landscape with hundreds of hot air balloons floating in the background. Turkey boasts an incredible coastline – also referred to as the Turkish Riviera, or the Turquoise Coast, which stretches over Alanya, Antalya, Kemer, Fethiye, Marmaris, Bodrum, Kuşadası, and Çeşme. Beaches and bars abound and there is certainly no better way to holiday than frequently taking a plunge into the magnificent Mediterranean. 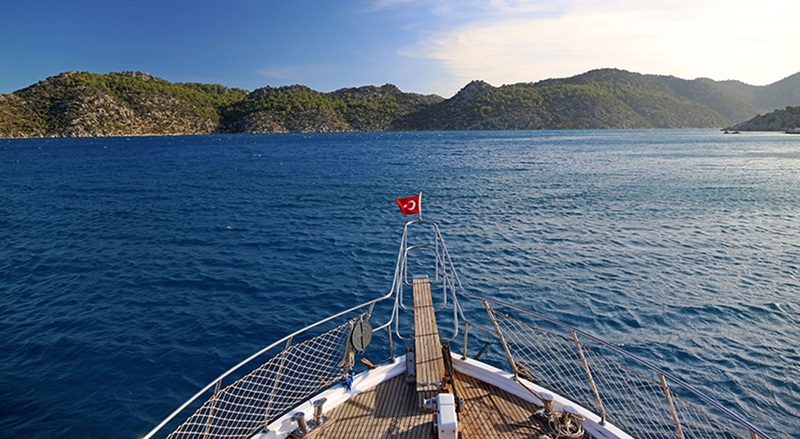 Throughout Turkey you’ll find a mix of ancient ruins, lavish palaces, and extravagant churches and other places of worship that’ll have your mouth hang open in pure amazement. In many towns there are also underground towns magical enough to make any history lover’s heart sing. Other historical places of interest include Troy, Ephesus and Kusadasi, Gallipoli, Pergamon, Artemis among others. Where better to rest and relax than at a Turkish hammam? Sounds a bit weird? A Turkish hammam experience, simply explained, starts by relaxing in a heated steam room. You then move to a hotter room with the purpose of making your body sweat out the toxins. The experience ends with a quick splash of cold water to abruptly awaken the senses. According to your preference (and budget), you can also add a massage, reflexology session, facial, and the like at most establishments that cater to tourists. Pizza, pasta, cars, handbags and shoes – some things are just made better by Italians. But especially food. 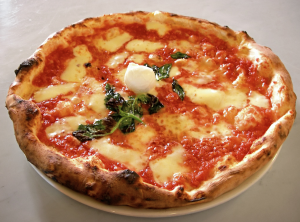 Italian food has been a favourite around the world for ages with almost every town in the world having a pizzeria or gelateria somewhere around a corner. But nothing beats the real deal: eating a pizza on the steps of a fountain in Rome, or discovering a small specialty pasta restaurant in Florence. No it’s, not just pizza, and no, Mario around the corner in Malmesbury doesn’t do it as good as they do it in Italy. You cannot travel to Italy without trying a good ol’ Italian pizza. Keep in mind that the best pizzas in Italy are usually the most simplistic ones with about three toppings max. Our favourite is simply the classic Margarita with fresh tomato, basil and mozzarella. Pasta is certainly a staple starch for Italians and the reason you need to try a pasta when you’re there is because they are so particular about how they prepare it. 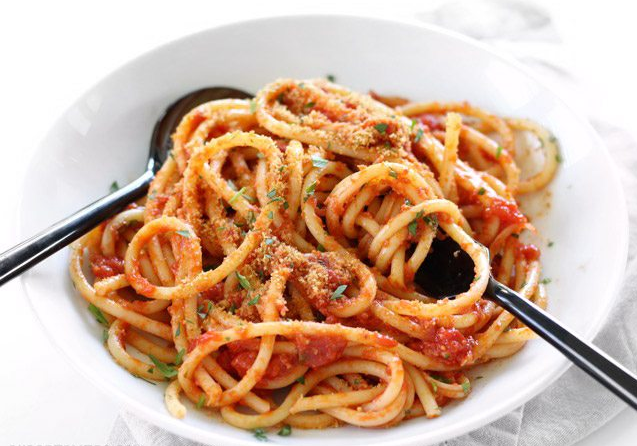 Italians take great pride in making a delicious pasta and they don’t even break a sweat doing it – it’s second nature. If the pasta is not al-dente it get chucked away (okay, not always, but sometimes) and it is always prepared with fresh, local and seasonal ingredients. Our favourite ones include spaghetti alla carbonara, cacio e pepe, pasta alla norma, pasta al forno, and lasagne. In many countries, risotto seems like a really fancy dish which takes hours to prepare. Not for the Italians. 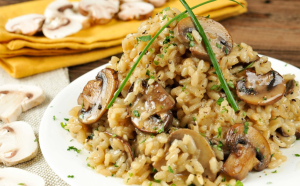 In fact, it’s often a go-to meal because it requires basic ingredients that most Italians always have in their homes – rice (Arborio or Carneroli varieties), onion or celery, stock and then whatever else you have in the fridge, be it carrots, peas, or mushrooms. It’s almost hard to believe that those simple ingredients can result in such a creamy, luxurious dish! The most famous type of risotto is probably the saffron-infused risotto alla milanese which, you guessed it, hails from Milan. 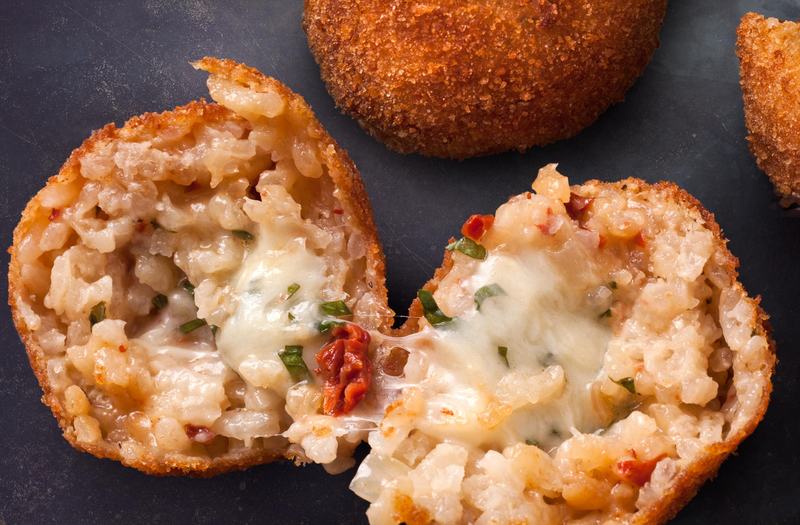 When in Italy, you simply have to try a Sicilian speciality called arancini – aka freshly-fried rice balls. You can find these starch bombs in bars, restaurants, and market stalls all over Italy, but the best ones will certainly be in Sicily. The Sicilian arancino (which translates to “small orange”) is quite large, and either conical or circular in shape. 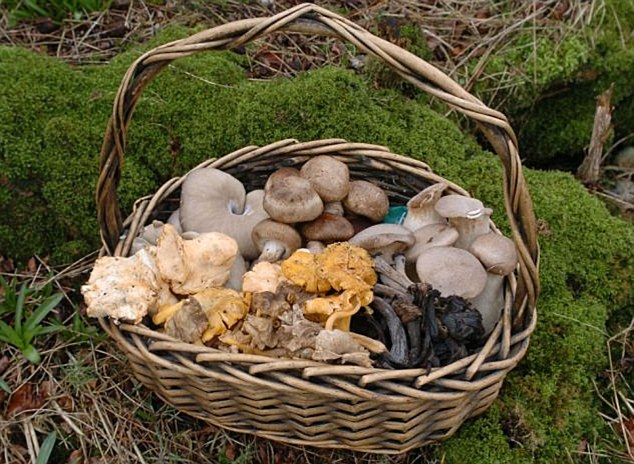 It is typically filled with ragu and some sort of cheese, with optional veggies like peas, mushrooms, or eggplant. If you want one that’ll make your toes curl, make sure it’s freshly fried when you order it. Not much to say here… If you don’t eat a gelato on your trip to Italy, you may as well have stayed at home. Because did you really go to Italy if you didn’t eat gelato? 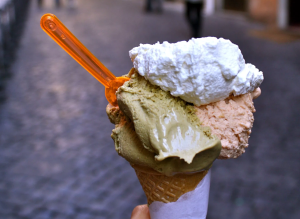 When seeking out fresh, artisanal gelato, keep an eye out for a couple of things: before purchasing, inspect the color (does it look natural or neon?). Consider whether the fruit flavours are in season (they should be). Check if there is an ingredient list on display. Also, keep in mind that artisanal gelato is slow-churned, though now usually stored in covered, silver, round containers. So steer clear of those trays of wavy-topped gelato containers with gelato so neon bright you need sunglasses to look at it. A good tip is to ask to try the lemon sorbet and the hazelnut gelato – if they taste good, the rest of the flavours are usually on par. The deceptively simple Tiramisu is probably the country’s most beloved dessert. Legend has it that this delectable no-bake parfait, featuring alternating layers of soft, sweetened mascarpone cheese and coffee-soaked ladyfingers, was first made in the 1960s in Treviso by Roberto Linguanotto, owner of Le Beccherie restaurant and his apprentice, Francesca Valori, whose maiden name was Tiramisu. 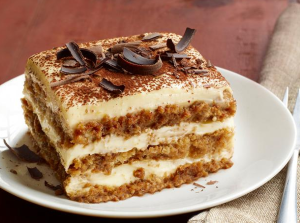 Even though it may be simple to make, not everyone can make a good Tiramisu. You can’t go wrong by ordering from Fermi deli in Treviso (+- 30min from Venice). Book your spot on our next Italian tour in April 2019 and experience this divine food explosion for yourself! 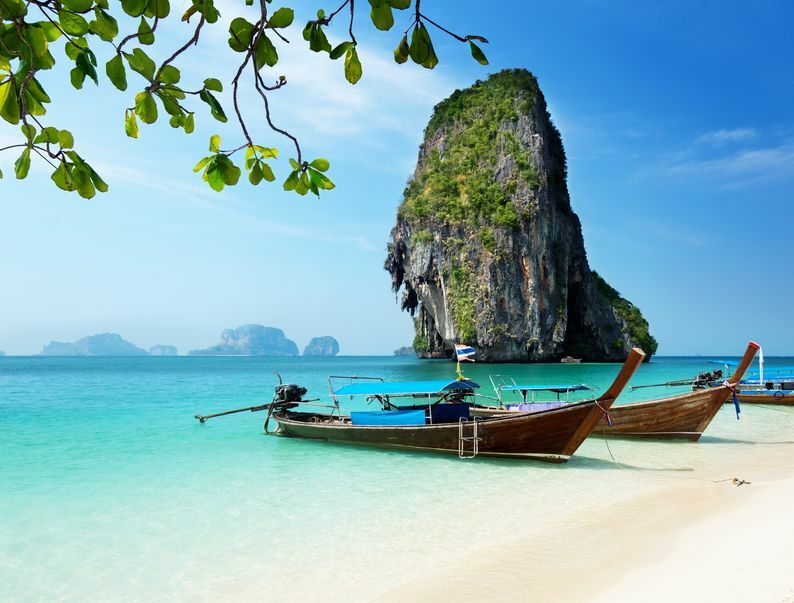 From the tropical beaches of Phi Phi Island and golden temples and statues scattered throughout the country, to sunset boat cruises and cuisine bursting with fresh flavours – Thailand easily steals a traveller’s heart. 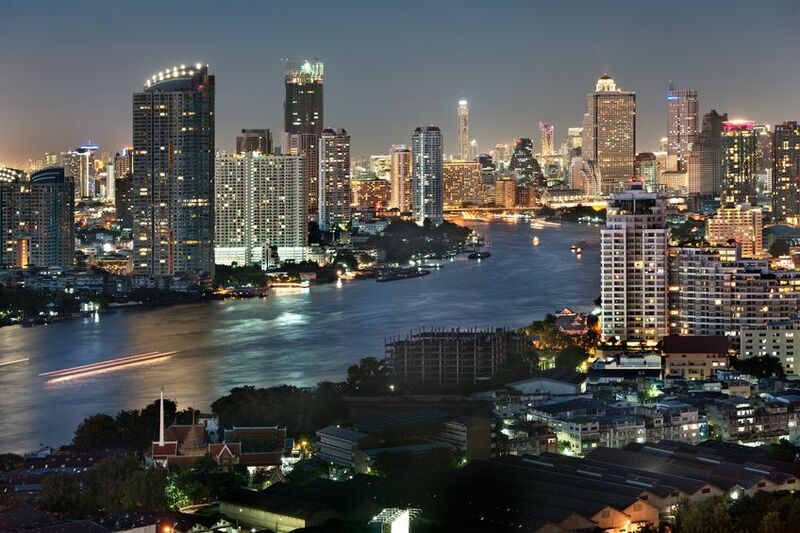 Travellers who like to discover a country through savouring its food will fall in love with Thailand on a whim. Bursting with fresh, local ingredients like lemongrass, chillies, vegetables and seafood, among others, we have yet to find a traveller who doesn’t like Thai food. If food is really your thing, you could even join a cooking class and hone your Thai cooking skills. Thai people are some of the friendliest, warm and welcoming people. Many who have visited Thailand will tell you in their first few sentences that the ever-comforting Thai smile was one of the highlights of their trip. In between the draped electrical cables, thousands of cars, scooters skyscrapers and Tuk-Tuks in crowded cities and towns like Bangkok and Phuket, is the rural heartland of Thailand with its rice paddies, tropical forests, villages, mountains, waterfalls, beaches and islands. 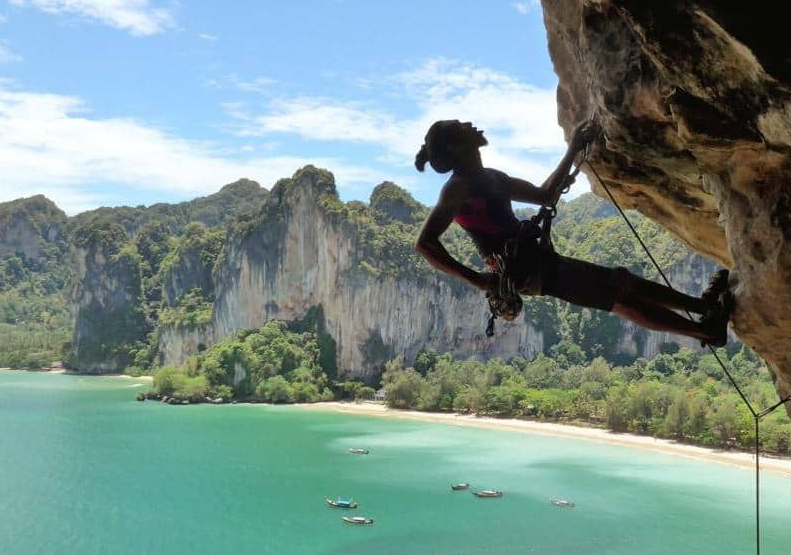 The ragged limestone cliffs of Krabi invites the beginner and avid rock climber alike to explore its nooks and crannies. And if heights are not your thing, you can simply admire the cliffs from the turquoise waters. 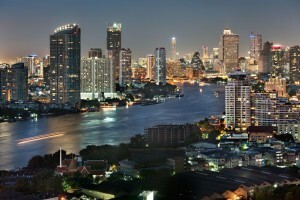 Bangkok with its unending shopping options and hip and happening nightlife is something to experience. The same goes for Phuket. These cities never seem to sleep, offering lots of fun and excitement for visitors. Have you been to Thailand before? What was your favourite place? We’re headed to Thailand in March 2019 and would love to invite you along! Prague is a tourist city of note and it’s therefore always handy to have a couple of insider tips to make your stay less crowded and more memorable. It’s also useful to know what to eat and drink and how to get around. Walk walk walk, and when you can’t walk anymore, hop on a tram. Prague is a city to be seen on foot, and it’s relatively easy to do so. There are cobblestoned streets and alleys to meander along and every so often you will stumble upon something unexpected such as an underground jazz bar. Prague’s public transport system is great, so when you have to travel a bit further and don’t have a lot of time, the metro is a win. It is often said that beer is cheaper than water in Prague, and even though that might not be 100% accurate, it’s pretty close. A bottle of beer will cost you roughly 15 CZK while a 500ml water will cost you roughly 10 CZK. Prague is also famous for its hot alcoholic drinks such as Becherovka (a Vermouth-style dry aperitif and often served with a fruit juice) and then there’s the staple hot alcohol drink – hot mulled wine. As with any big city, food is more expensive closer to big tourist attractions. Keep this in mind when travelling to Prague (or any big city for that matter). However, it’s also not exorbitant. 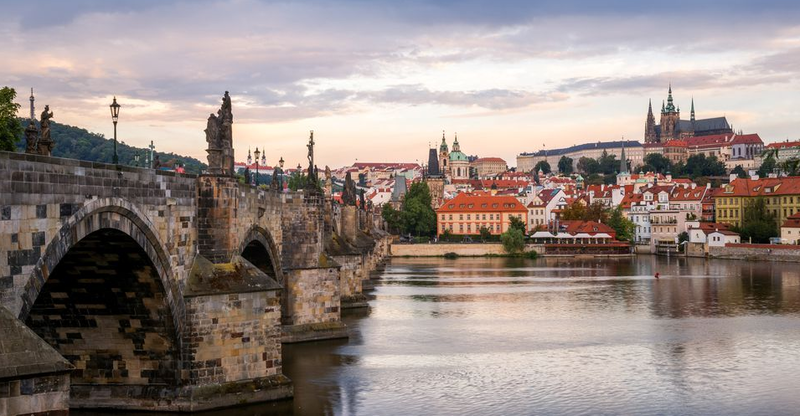 Prague is a very affordable city for the most part. Things like electronics and fashion items are much more expensive here, however. Get your teeth stuck into the Goulash and slobber up some slow-cooked pork knuckle. In fact, indulge in all the pork in all its forms: ribs, slow-roasted, and so the list goes on. 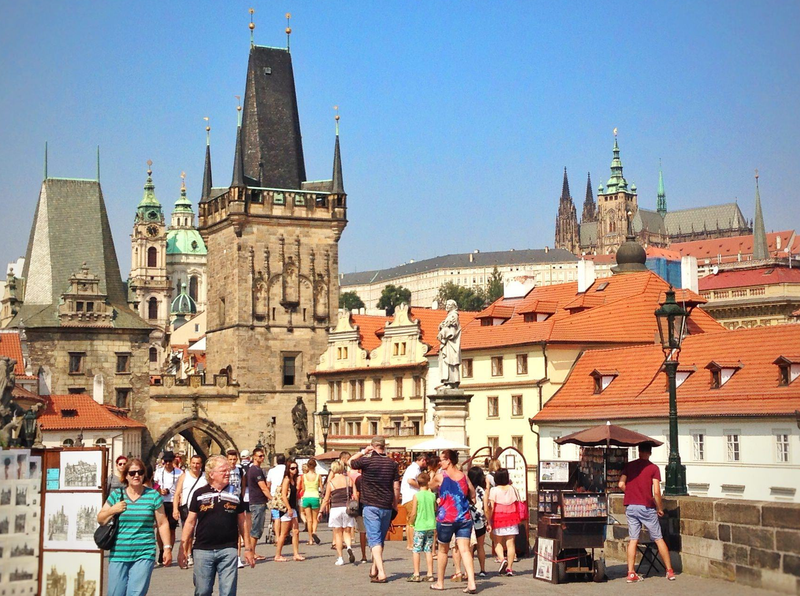 Prague is a city with plenty of tourist attractions that are all well worth a visit. There’s the Prague Castle, Charles Bridge, the Astronomical clock, the Jewish quarters and much more. But don’t forget the city’s underground! It is really something spectacular. 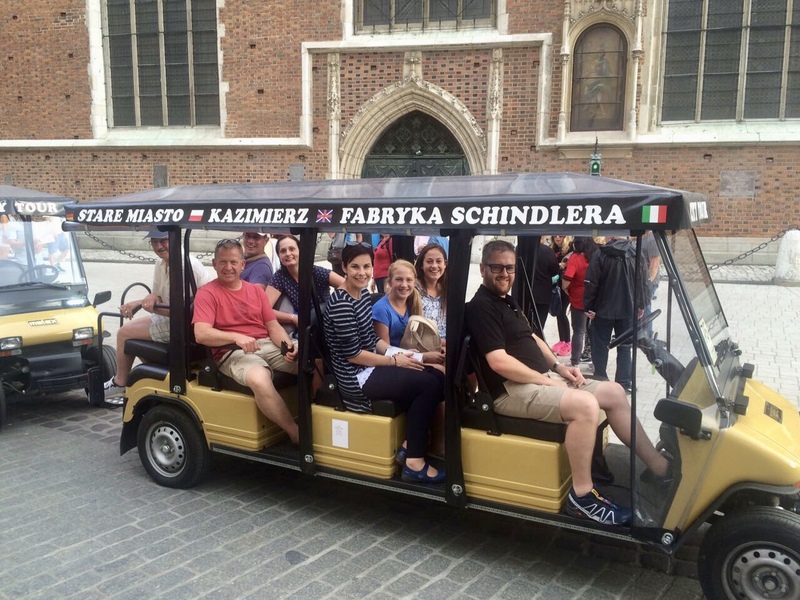 There are numerous underground city tours to choose from and almost every building that you pass by would have a section underground. Hotel Jalta is one such establishment. It’s a nuclear fallout shelter, right under a 5 star hotel in Wenceslas Square. The shelter was connected to the outskirts of Prague via tunnels to allow people to escape in case of nuclear attacks. After the end of socialist times, Hotel Jalta was bought by an investor with a passion for history, who preserved the shelter and turned the hotel into a five-star property. Charles Bridge is certainly one of the top tourist attractions so rather plan to see it early in the morning or later in the evening when there will be fewer people. Within the fairy-tale fortress that is Prague Castle (Pražský hrad) – the largest ancient castle in the world – you can visit the St Vitus Cathedral and climb up the tower for a breathtaking view of the city. 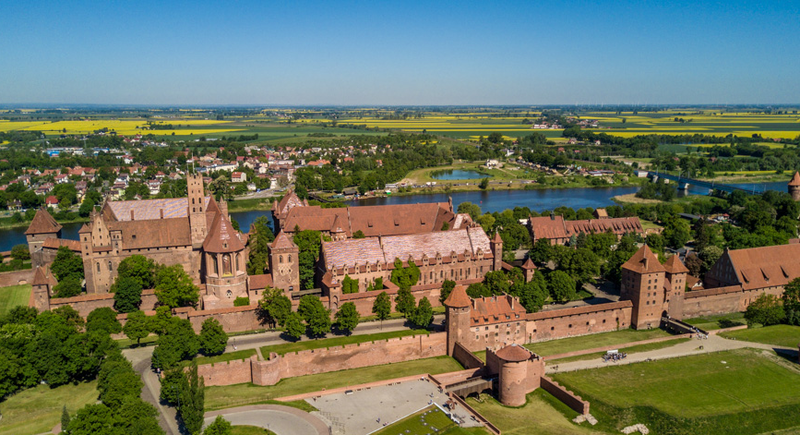 The historic buildings inside the castle walls represent virtually every architectural style of the last millennium. Best of all? It’s free to walk the castle grounds and cathedral, or you can pay a reasonable fee for a tour and be able to enter the galleries, museums and other restricted areas. Central Prague is divided into 10 different districts, with areas of Prague 1 through Prague 10 considered to be convenient by residents. While Prague 1 is the heart of the tourist district, where Old Town Square and the Castle is located, it doesn’t mean that Prague 10 is the furthest away. Tip your waiter. If there is one type of person you do not want to upset, it’s a Czech. Tip your waiter at least 10%. 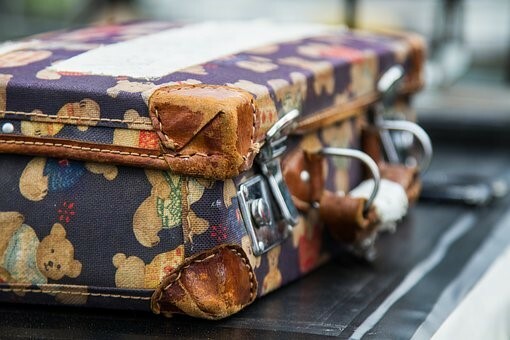 There are plenty opportunists in Prague, so keep a close eye on your belongings. It’s not an unsafe city, but you would be wise to always be cautious. Holidays are often associated with beach time or pool time – depending on where you come from (and where you are going). Perhaps Scandinavia seems like an oddly cold holiday destination, but there are plenty reasons why it needs to be added to your travel list. The Bergen fish market is described as one of Norway’s most visited outdoor markets, located in the heart of the city between the fjords and Bergen’s seven mountains. Dating back to the 1200s, it has been a meeting place for merchants and fishermen through the ages. 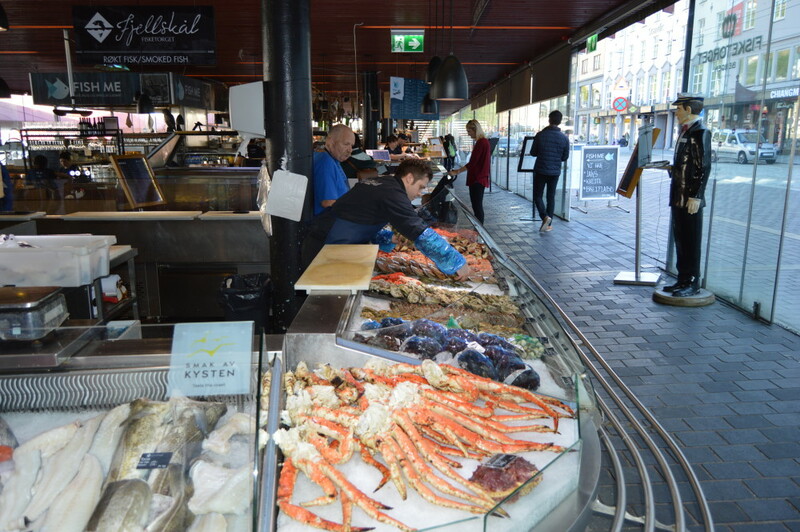 Apart from fresh Nordic fish and seafood, you can also indulge in local farm food like fruit, berries and vegetables or buy some fresh flowers and plants. You don’t even have to buy anything! Just walking around and taking it all in is an adventure in itself. Norway is World famous for fjords (long, narrow inlets with steep sides or cliffs, created by a glacier). Drive from Bergen to the town of Flåm, on the edge of the Sognefjord. Geirangerfjord is a Unesco-listed fjord and a must-see when you are in Scandinavia. Sure, it is Norway’s second largest cruise port , and sure, there are many tourists, but how can you blame them? 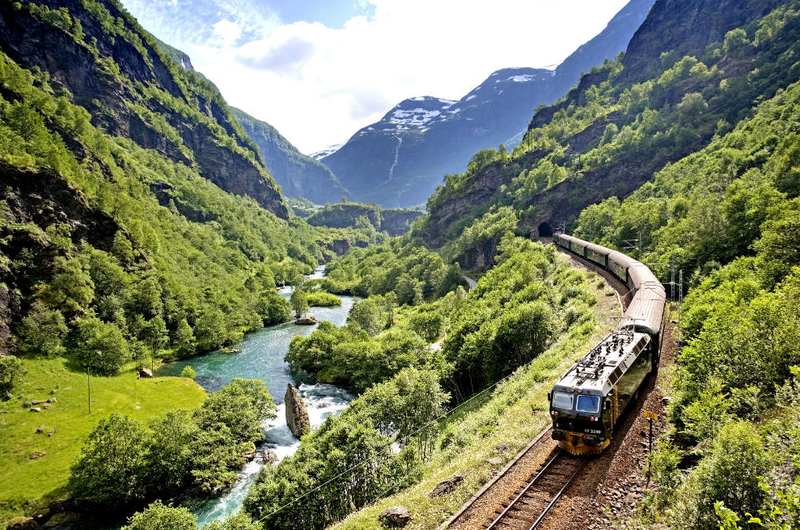 National Geographic has rated the Geirangerfjord as the best preserved Unesco World Heritage Site. Drive down Trollstigen (The Troll’s Ladder), a 105km-long stretch of road that descends out of the mountains on 11 hairpin bends and is surrounded by lofty peaks dubbed Kongen (the King), Dronningen (the Queen) and Bispen (the Bishop) and hugged by lush vegetation. 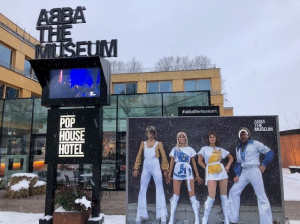 If you’re in Stockholm, pop in at the ABBA Museum. But don’t expect a boring walk through a history museum. The ABBA Museum is fun and interactive and while you’ll learn about the story about Björn, Benny, Frida and Agnetha and their lives growing up and when music entered their lives, you will feel what it’s like to be onstage with ABBA, to sing at the famous Polar Studio or to dress up in those legendary costumes (virtual experience). You might walk in, but you’ll certainly be dancing out of there! Yes, Legoland! Many people don’t even know that Lego is Swedish (not everything is American, folks)! 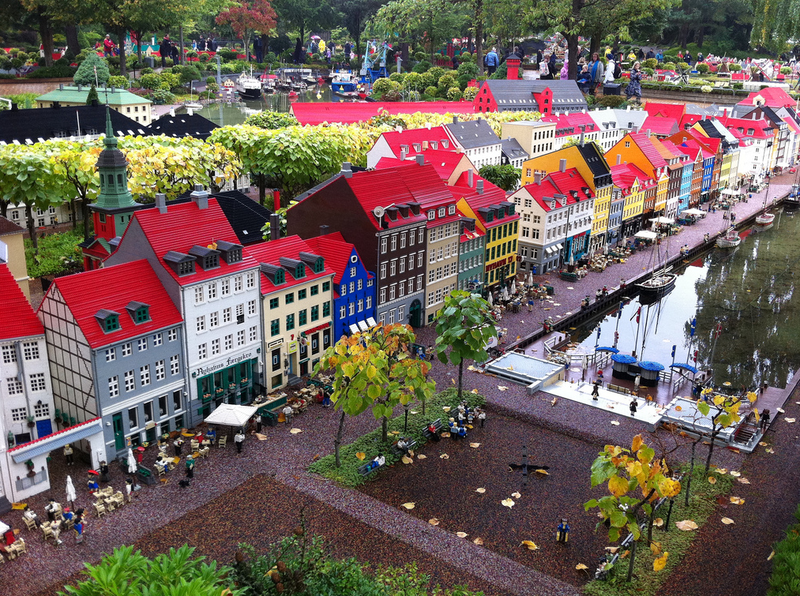 So if you find yourself in Scandinavia, don’t keep yourself too adult to go play at the marvellous Legoland situated in Billund, Denmark. As a tourist in Paris, it’s easy to soak up the cafe culture, drool over freshly baked baguettes and enjoy the romantic feel in the air. It’s also easy to tick off things on a “must-see list” such as the Eiffel Tower, the Louvre, or the Arc de Triomphe. But how sad it would be if that was the end of it! 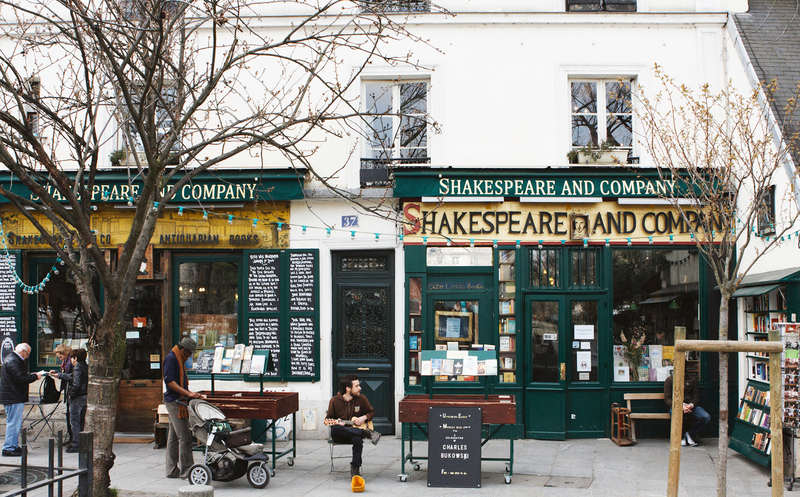 There is so much more to Paris than meets the eye. There are secrets long forgotten or perhaps never heard of around every corner and even underground. Did you know these three interesting facts about Paris? 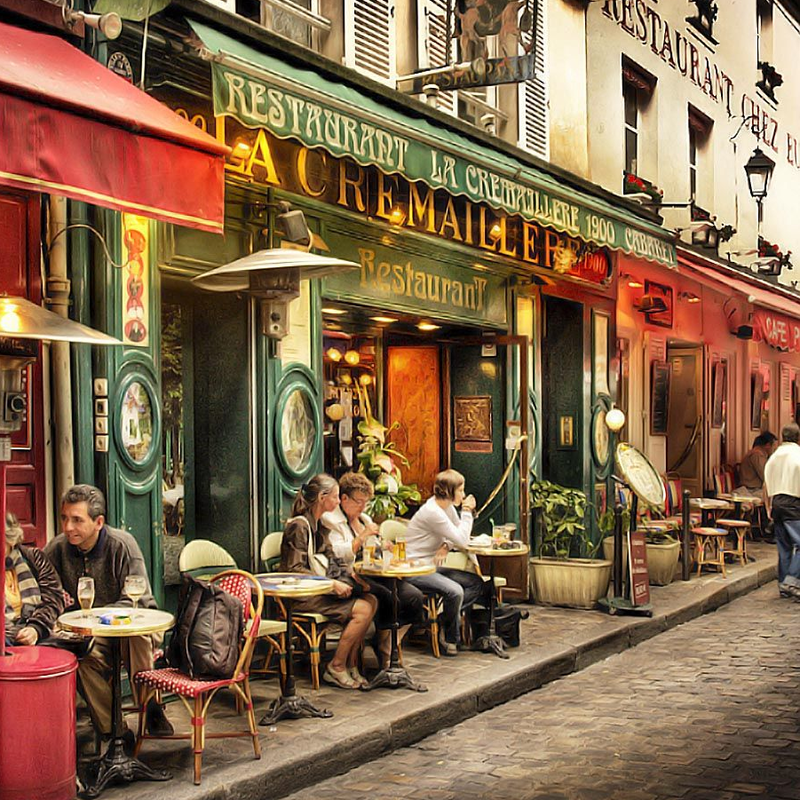 Bars, cafes, and restaurants abound in the City of Love. 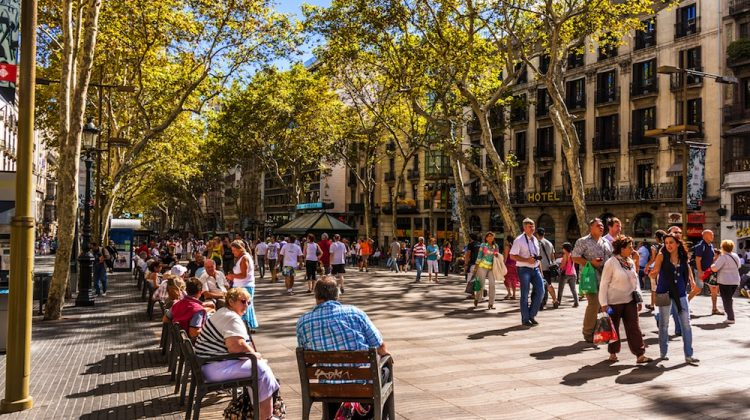 But did you know that there are an estimated 9,060 of them with open terraces where you can sit down and take in the beauty of the city? 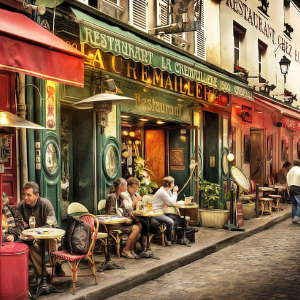 Basically, if you were to spend each day of your life in Paris visiting a different open terrace of a bar, cafe, or restaurant, it would take you about 30 years to see them all – and that’s just the current ones… there’s probably a new one opening already as you are reading this! 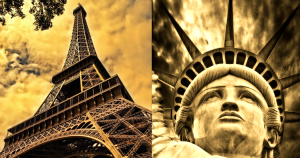 French architect and structural engineer, Alexandre-Gustave Eiffel was not only responsible for the build of the world-renowned Eiffel Tower (designed by the two chief engineers in Eiffel’s company Emile Nouguier and Maurice Koechlin), but he also had a hand in the Statue of Liberty in the United States. When the Statue of Liberty’s initial internal designer, Eugène Viollet-le-Duc, unexpectedly passed away in 1879, Eiffel was appointed as his replacement. 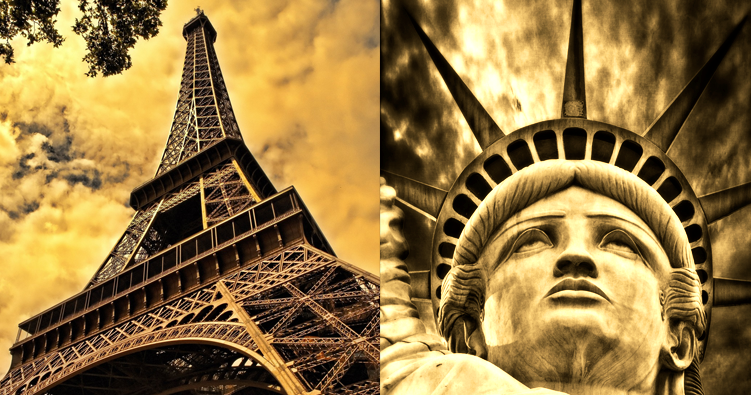 Eiffel and Koechlin rejected Viollet-le-Duc’s original idea to make the bronze exterior of Lady Liberty bear all her weight and instead installed an iron skeleton inside of her for support. 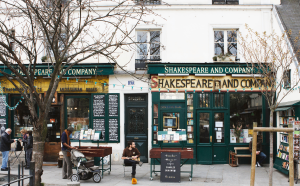 George Whitman founded the Shakespeare and Co. bookstore in Paris in 1951 with the motto “be not inhospitable to strangers lest they be angels in disguise”. It is said that Whitman travelled the world as a self-proclaimed “tumbleweed,” blowing from place to place, “sheltered by the grace of strangers”. He opened the doors to all sorts of writers, artists, and intellectuals who needed a place to rest their heads for a night or two. In exchange, the “Tumbleweeds” are asked to read a book a day, help out in the shop for a couple of hours, and write a single-page autobiography for Whitman’s archives. 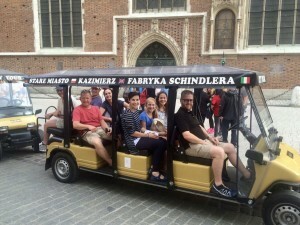 C the World has an epic trip planned to Europe in December, contact us today to book your spot and visit Paris, Germany, Switzerland, and more! Springtime in the Netherlands mean many things. But one of the overarching topics of discussion is certainly flowers! Or more specifically, Tulips. 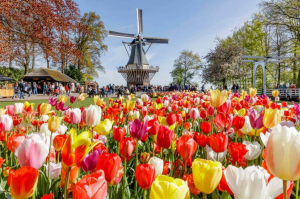 Keukenhof in the Netherlands is probably best described as a flower heaven of sorts and it’s quite difficult to convey in words the beauty of this colourful spectacle. It is simply something you have to see for yourself, and definitely add to your bucket list if it isn’t featuring on there yet. 1. 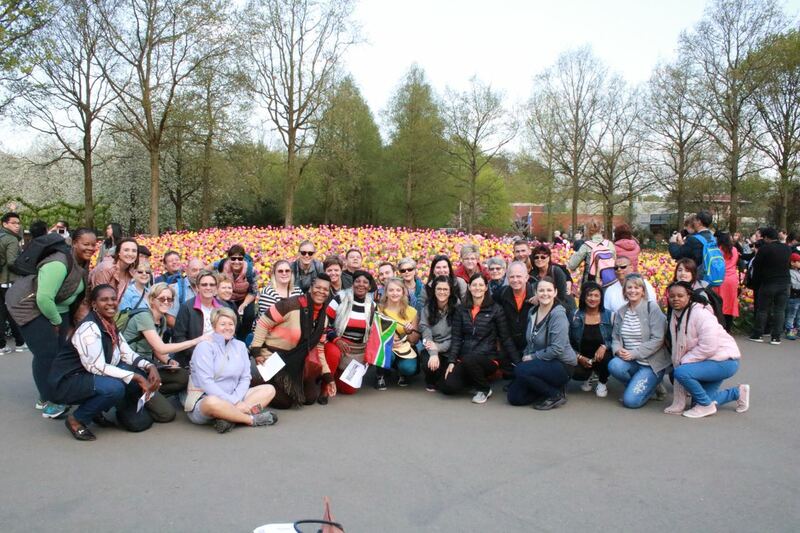 Keukenhof is a platform for the Dutch floricultural sector. Its focus is on the 7 million spring-flowering bulbs of the 100 participating exhibitors and participants which allows them to showcase their bulbs, flowers and plants. 2. In 1949 a group of 20 leading flower bulb growers and exporters decided to use the estate to exhibit spring-flowering bulbs, which put Keukenhof on the map as a spring park. 3. A year later, in 1950, the gates were opened and the park was an instant success. 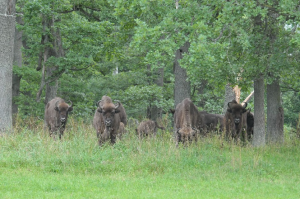 It saw 236,000 visitors in the first year alone! 4. 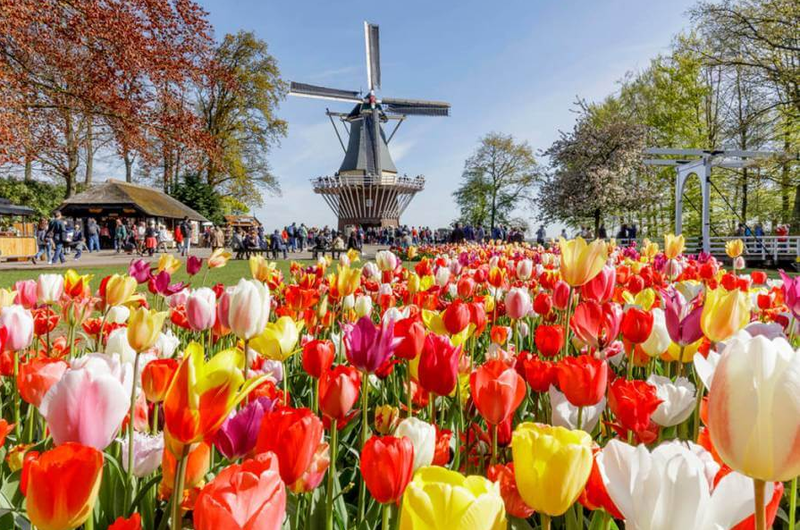 Depending on the year and weather patterns, the best chance to see the flowers blooming at Keukenhof is usually the last two weeks of April and the first week of May. 5. 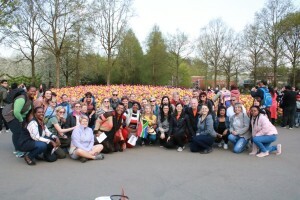 2019 will be the 70th edition of Keukenhof, under the theme “Flower Power”. 6. The Netherlands produces nine billion flower bulbs a year and it accounts for 90% of global trade in flower bulbs. The biggest of these in export are Tulips. 7. During the 17th century, the Tulip caused a phenomenon called “tulip mania” when it became a coveted luxury item which resulted in the price of Tulips skyrocketing. 8. In 1937, some single tulip bulbs were reported to have reached a price equivalent to 10 times the annual income of a skilled craftsman. Buyers revolted and a sudden price collapse soon followed. Christmas markets is something people look forward to year-round. There is an unexplainable magic in the air at a Christmas market that can get even the most unfestive person into a happy, serene, festive mood over the Christmas holidays. Germans just know how to create the most incredible festive feeling around the Christmas holidays. We’re not sure if it has to do with all the decorations in the streets and on buildings and houses, the abundance of chocolate and other sweet delicacies, or the fact that there’s an exciting Christmas market around every corner. 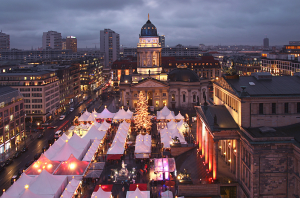 If you’re into unique handmade products and unique art, drop in at Weihnachtszauber at the Gendarmenmarkt and shop till you drop. You can expect glassblowers, candle makers, and jewellers in addition to the origami master, embroiderer, a milliner and an ivory-carver. When you’re done gaping in awe at all of this, you can indulge in the delectable foods and special delicacies. The Berliner Weihnachtszeit at Roten Rathaus is probably one of the oldest and most popular Christmas markets in Berlin. 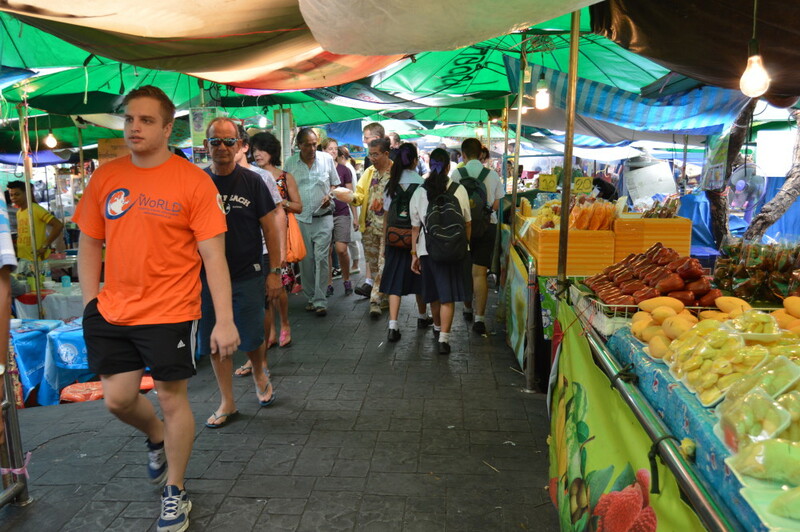 You might actually just feel like you’ve walked into another era, like the early 1900s when the market first started, thanks to the old-world decor of the stalls. This is the market for those with a bit more energy, or those wanting to warm up with something other than Glühwein. There is a massive ferris wheel as well as a large ice skating-rink to add a touch of fun to the food, drink and other goodies for sale. 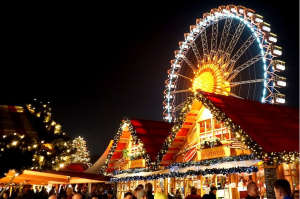 Attracting roughly 2,5 million people every year, this market is known for turning Potsdamer Platz in the heart of the city into an enormous winter wonderland. Another market offering more physical fun, there are lots of fun to be had and memories to be made at this market. Think toboggan run, an outdoor skating rink, Eisstockschießen (a game which is best explained as a mix between bowling and curling), and stalls offering heart-warming, seasonal treats. Prague is a wonderful city all-year round. But at Christmas time, it becomes alive with pure winter wonderland magic. 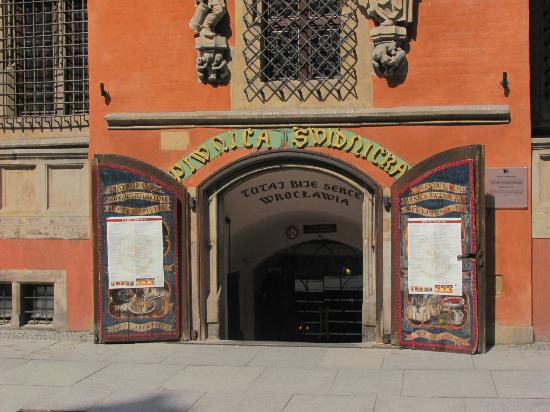 These are the two main Christmas market locations in Prague where you can expect to find brightly decorated wooden stall stocked with local handicrafts such as ceramics, jewellery, embroidered lace, wooden toys, scented candles, Christmas tree ornaments, hats and gloves, and puppets and dolls dressed in traditional costume. Best of all is all the food and all the beer and other warming drinks such as Glühwein and hot chocolate. Think roasted ham on the spit, grilled sausages, flatbreads, and trdelník (hot cinnamon-sugar coated pastries) and other sweet delights. There are also a couple of other, smaller markets at Republic Square, at Havel’s Market, on Kampa Island, and on the square in front of St. George’s Basilica at Prague Castle. Did you know that the Hungarian capital, Budapest, was voted the most affordable Christmas Market destination in Europe by the British Daily Mail? 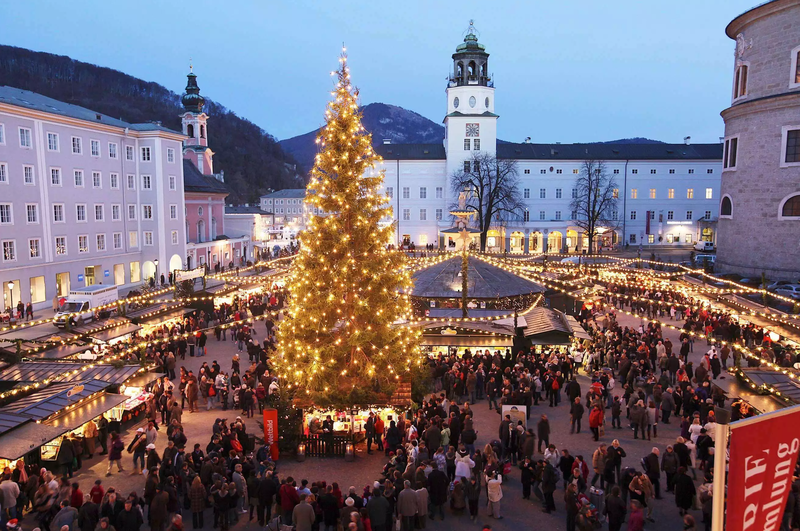 Set on Vörösmarty Square, the market is made up of 100 stalls – all set up around the slender, colourful Christmas tree. You can expect unique arts and crafts products, music, tasty local food and drinks as well as great programmes for kids and families. What a great place for a Christmas market! Among other things, the market at St. Stephen’s Basilica in downtown Budapest offers four and half weeks of entertainment leading up to Christmas as well as special artisan gifts, a 200sqm ice skating rink, a light show and, of course, plenty to eat and drink. Vienna simply becomes a place where dreams are made when its streets and stately buildings are covered in snow. In Vienna, Christmas is celebrated in the classic, traditional way which includes Christmas decor, food, drink, and lots of gifts. 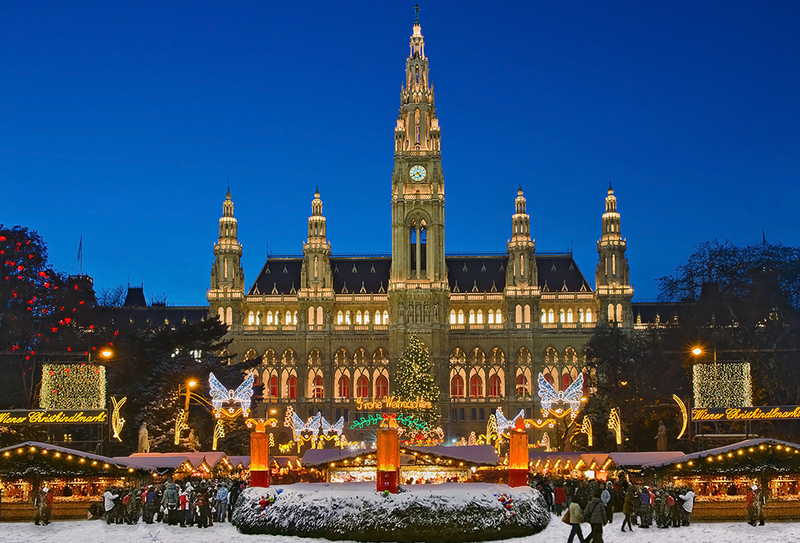 The Viennese Christmas Market takes place in front of City Hall and guests enjoy everything from reindeer rides to an ice rink for skating and curling, to hot drinks, pancakes, and pretzels. Other markets in Vienna include Schonbrunn Palace Christmas market, Spittelberg Christmas market. At the famed Christkindlmarkt in the center of the UNESCO World Heritage-listed Old City of Salzburg, you can perhaps expect a more “Sound of Music” feel as there are daily sing-alongs and traditional wind music performed above the square on Thursday and Saturday nights music (in addition to all kinds of delectable treats in the form of Austrian specialties, mulled wine and hot punch). 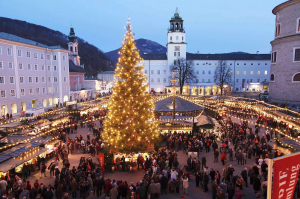 It’s one of the world’s oldest Advent markets – dating back to the late 15th century. 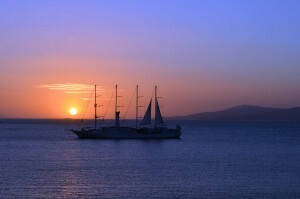 Often a faraway dreamy idea for many, Greece is a special place that has crept deep into our hearts. 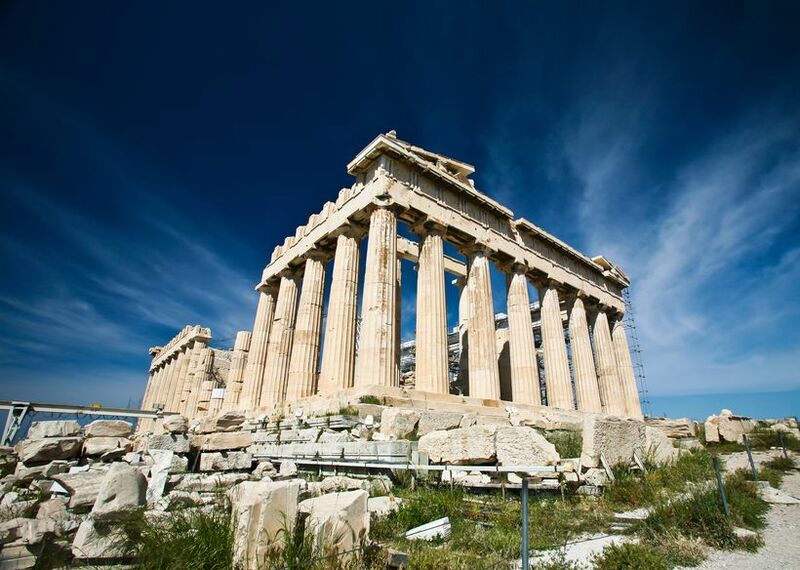 If you are an ancient history lover, there are few places in the world that’ll capture your heart and imagination like Greece. And if you think history is pretty boring, Greece will no doubt teach you otherwise. It’s definitely close to impossible not to marvel at the ancient structures such as the 5th-century BC temple complex of Acropolis in Athens, the archaeological site of Delphi, the open-air island museum of Delos, the mesmerising Byzantine monuments of Thessaloniki, or the myth-laden Palace of Knossos on the island of Crete. Many people, when they hear “Mediterranean diet”, immediately think it starts and ends with fish and vegetables. How wrong they are! 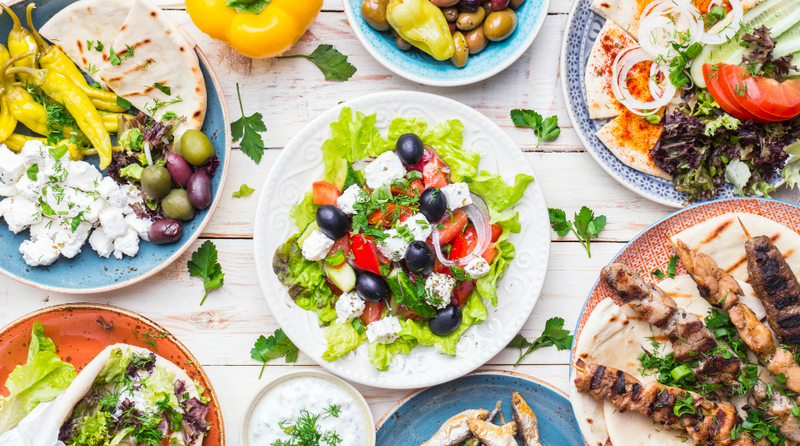 Even though it may be healthy, and there’s definitely some Greek salad and fresh fish involved, the Greeks eat like kings! And don’t forget the wine and variety of desserts. 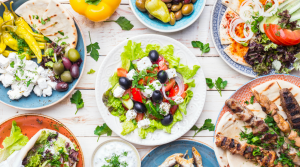 Think baklava (filo pastry, nuts, butter, sugar), Amygdalota (gluten-free almond cookies), Moussaka, Tzatziki, Dolmades, and tasty meats, among plenty other mouthwatering foods! 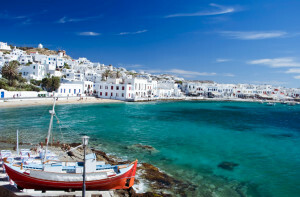 If done the right way, Greece can be an affordable holiday. It really doesn’t have to cost you your pension to tick off this dream destination on your bucket list. 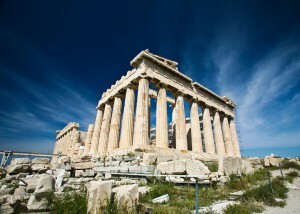 Travelling to Greece with C the World this year September/October will cost you R23,450 pp sharing. Let’s be honest, you don’t go to Greece if you hate sunshine and sea sand. Definitely not. 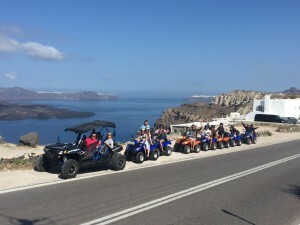 Greece is world-renowned for its splendid, picturesque beaches and islands and you’ll search long and hard to find a place that’ll match the beauty of the Greek Islands. Greeks, much like Italians, are masters of the slow life. Anyone who’s been to Greece will most likely tell you that they saw the most magnificent sunsets from a balcony in Santorini or while sipping on a cocktail on a beach in Mykonos. Within just a couple of days, you’ll find yourself feeling relaxed, rejuvenated and ready to take on the world again. Or maybe retire, buy a beach bungalow in Santorini and set up shop in this paradise… Who knows? 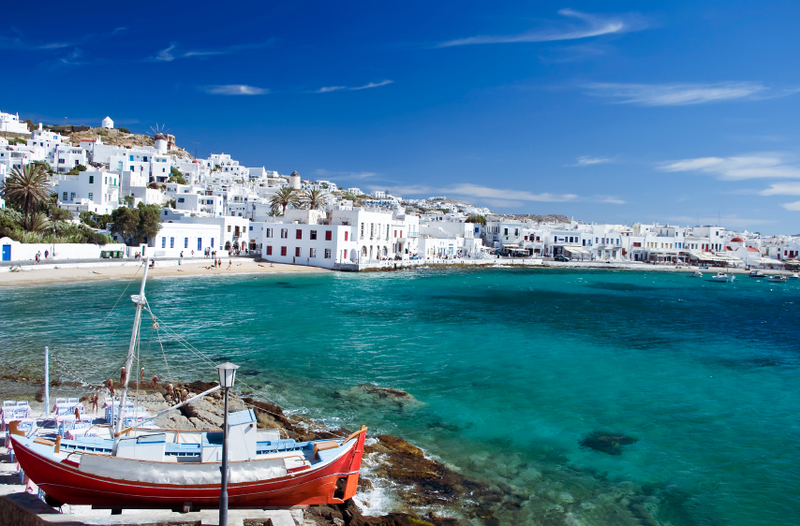 For only R23,450 pp sharing you can travel to Greece this October with C the World. Book your space today! 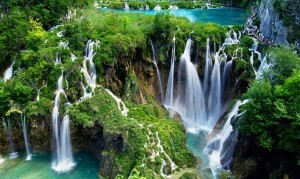 Croatia has been an up-and-coming travel destination for a couple of years now. And it’s no secret why. Beaches, forests, waterfalls and history – it’s basically a small piece of heaven. Or at least how we’d imagine heaven to be like. If this place doesn’t look like a dreamy fairy tale destination, then we don’t know what would. 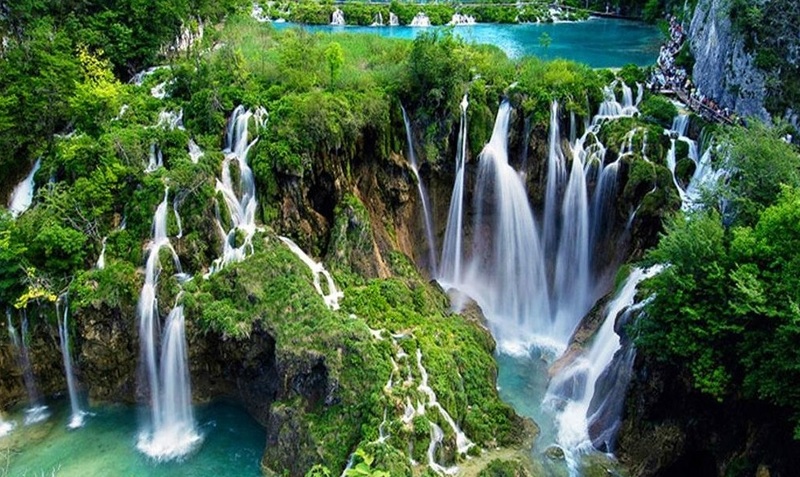 The Plitvice Lakes are situated in the Plitvice National Park and are without a doubt one of the most jaw-dropping natural wonders in Croatia and Europe, for that matter. 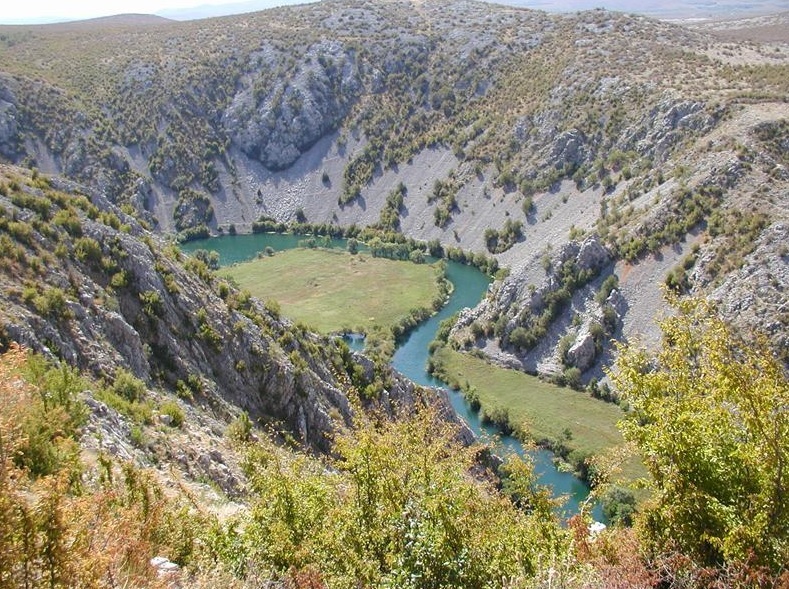 It consists of 16 interconnecting lakes that are divided into upper and lower clusters and formed by natural travertine dams. There are also beautiful waterfalls and a lush forest to meander through. 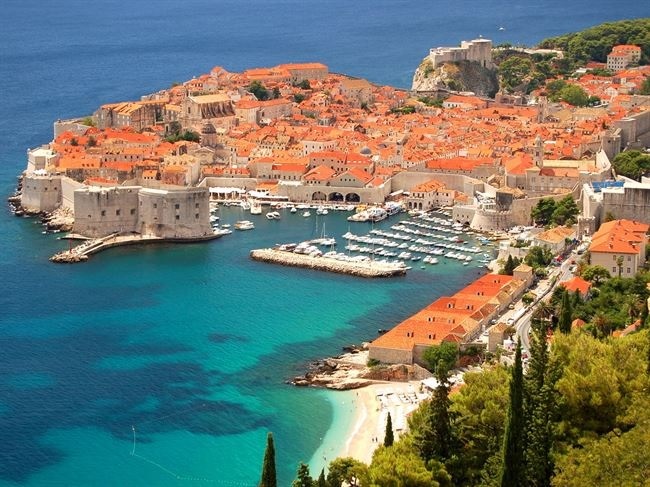 That’s right folks, from Game of Thrones fame, dating back to the 15th and 16th centuries, Dubrovnik is is one of the best-preserved medieval walled cities in the world and described as one of the “Pearl of the Adriatic”. Croatia’s got some hiking options too for those who like to brave the mountains by foot. 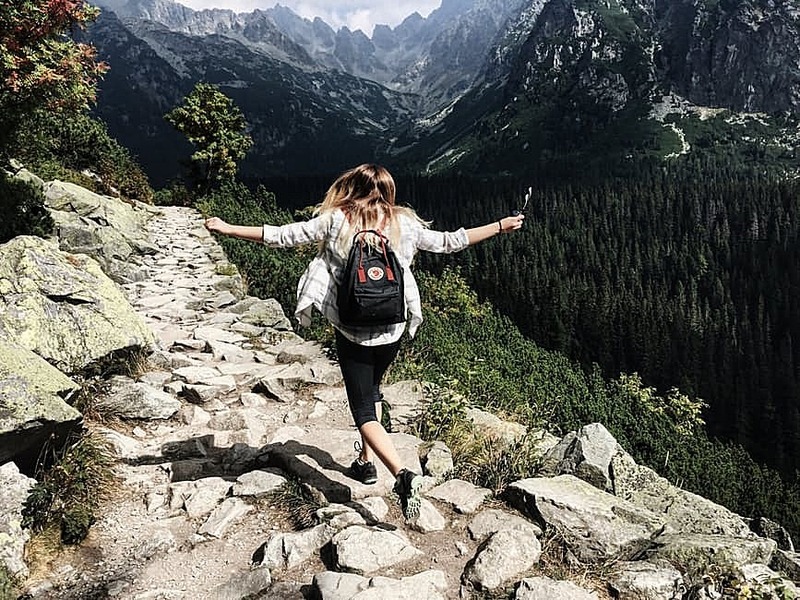 For some awesome hiking trails, head to Northern Velebit National Park which encompasses the northern side of the largest mountain in the country, Velebit Mountain. Another Croatian city with a nickname is Split. 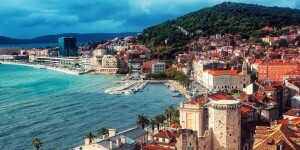 Known as the “Mediterranean Flower” Split is Croatia’s second-largest city. Located on a peninsula off the Dalmatian Coast, the city’s main attraction is its historic centre which boasts dramatic Gothic and Renaissance architecture. Another attraction in the city is the Emperor Diocletian’s palace. He built a palace for his retirement at the end of the third century AD, and it still stands in the centre of Split. The palace complex is a maze of marble walkways lined with shops, cafes, and bars. For only R30,450 pp sharing, you can travel to Croatia this September with C the World. Book your spot now! 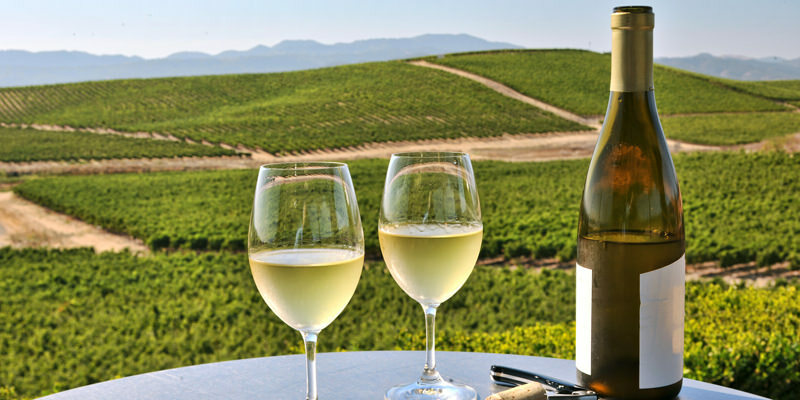 Apart from the Eiffel Tower in Paris, the Louvre, French cafes, and fresh French loaves and cheese, many people travel to France for authentic wine tasting experiences. Whether you’d describe yourself as a wine connoisseur or not, everyone knows that the French know what they’re doing when it comes to wine. The only problem for a non-French wine drinker who wants to enjoy French wine is understanding what the bottle says. French wine labels can be confusing. This is mainly because of the lack of varietal (type of grape) labelling. 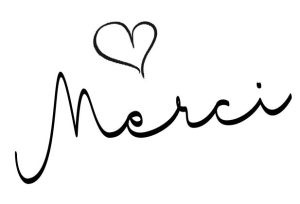 Most of us are used to seeing the name of the wine farm and the grape varietal on the label rather than only the region of origin (known as ‘terroir’ in French). Why would they put the region on the bottle and not the grape varietal? Because the place of origin is what gives the wine its true character. 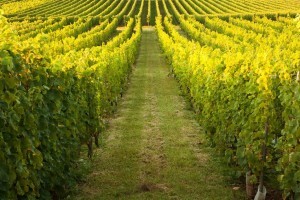 Wines are different because of the are in which the grapes are grown. So most French people know which varietals grow in which areas. Another thing to note is that French wines are very often blends rather than varietals. For this reason, the ‘terroir’ labelling system also works pretty well. For example, red Bordeaux wines are generally blends of Merlot and Cabernet. 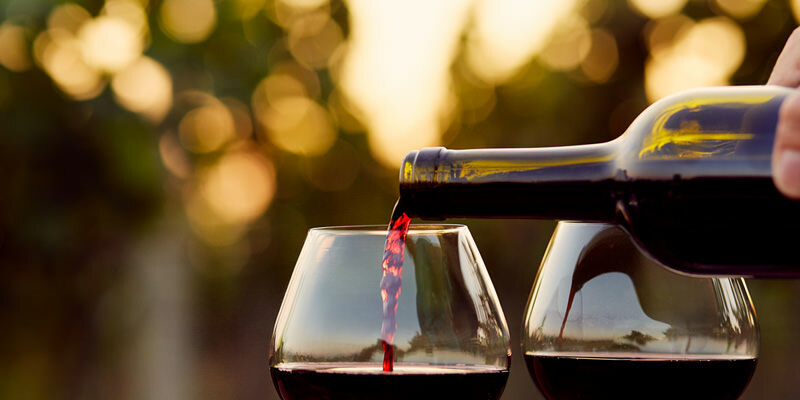 Plenty of red blends also come from Southern France, primarily from the Languedoc region, where blends of grapes like Syrah, Grenache, Mourvèdre and Carignan are popular. Bordeaux, Burgundy and Rhône wines are the three primary French red wine regions of interest that we’ll explore in this post. To help you further decipher, here are a couple of hints from Food & Wine on which area mainly produces which varietal so you’ll find choosing your favourite wine a bit easier. 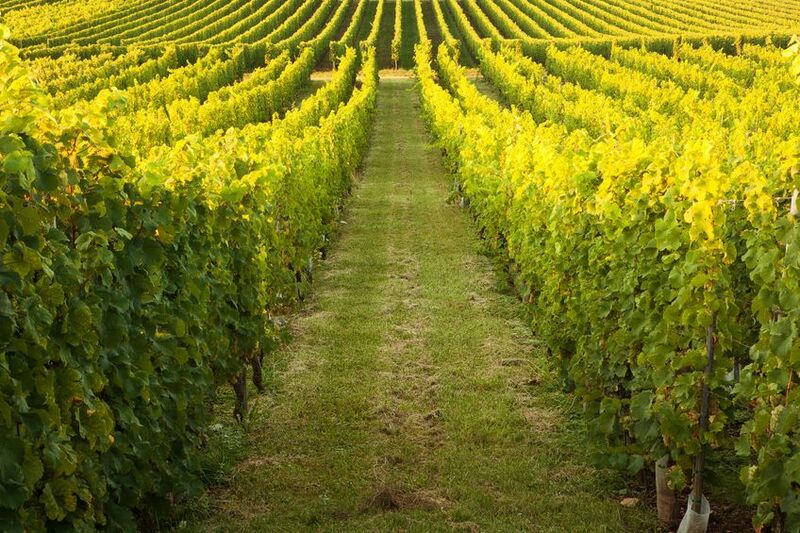 So, as you start familiarising yourself with the wine-producing regions, the first thing to note when deciding on a bottle of French wine is the terroir where the wine was made – this is the best way to determine which grapes are in the bottle. And there you have it. We hope the next time you travel to France, choosing a good French wine will be a cinch! C the World’s European tours sell out fast! Contact us to secure your spot today. Spain is one of those European countries, rich in history and even richer in culture and traditions. Ever heard of the ‘Flamenco’? And no, it’s not a bird. Referred to as Spanish art, the Flamenco originated in the southern regions of Spain and is made up of three parts: guitar playing (“guitarra”), song (“cante”), and dance (“baile”). Even though it originated in the southern regions of Spain, some believe it has influences from Latin America, Cuba, and Jewish traditions. Traditional Flamenco dancers rarely received any formal training as it’s more a case of it being passed down from friends, relatives, and those in the community. What does it entail? The Flamenco can be quite dramatic, seeing as dancers try to express their deepest emotions by using body movements and facial expressions. They often clap their hands or kick their feet and many also use ‘castanets’ to add to the performance. 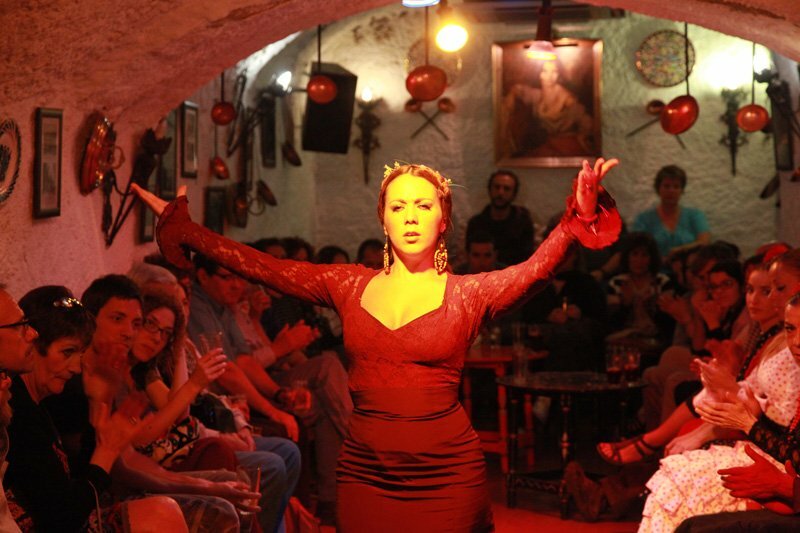 When you travel to Spain, the Flamenco is something you’re bound to come across. Bullfights happen throughout Spain. 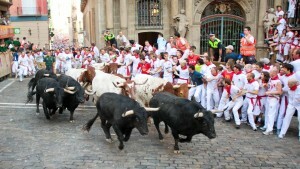 The fiestas of San Fermin are celebrated in Irunea/Pamplona, a small city in Spain’s northern region of Navarra. These fiestas take place during summer from 6-14 July and have become internationally known because of the running of the bulls. Even though it’s synonymous with parties drinking, dancing and singing in the streets, the annual running of the bulls through the city is actually part of a religious festival to honour St. Fermin, the patron saint of the city. 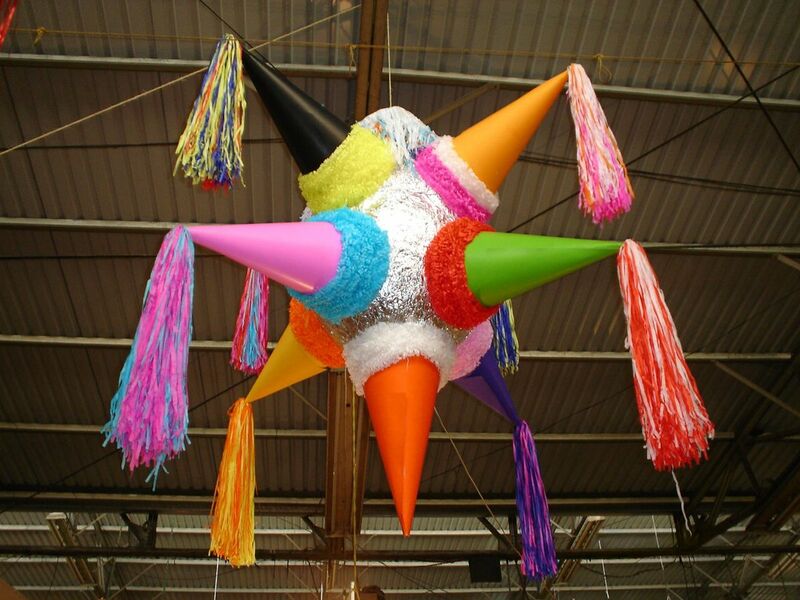 You may have seen them in the shape of ponies, flowers, or even unicorns, and while the history of the piñata has a religious and spiritual significance, today piñatas are associated with celebrations in Spain. The traditional piñata is usually in the shape of a six-point star and the first piñatas in Spain were made completely of clay – decorations and bright colours were only added later on. 15 is an important age for girls in Spain. When a girl reaches the age of 15, it signifies her ‘coming of age’, so to speak. This is when she passes from ‘girlhood’ to ‘womanhood’ and for Spanish families, this is a cause for big celebrations. The birthday girl usually struts a formal dress and receives real princess-like gifts such as tiaras, bracelets and earrings from family members. 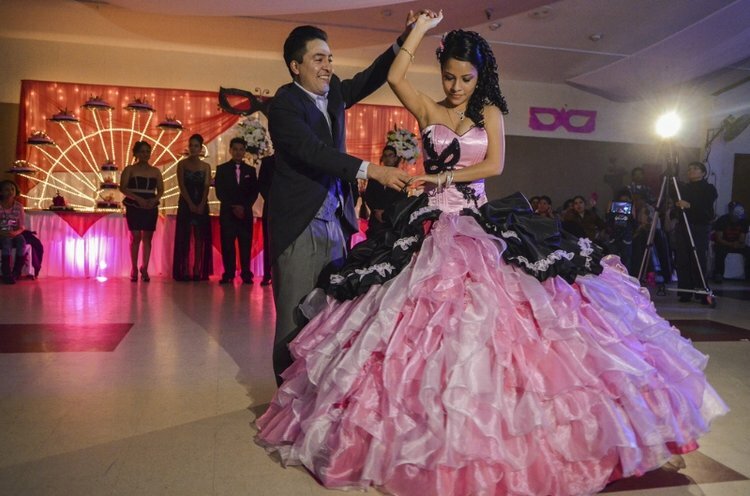 Quinceañera includes all things festive such as a religious service, followed by a dedication mass whereafter there’s sure to be music, and dance, and lots of food! 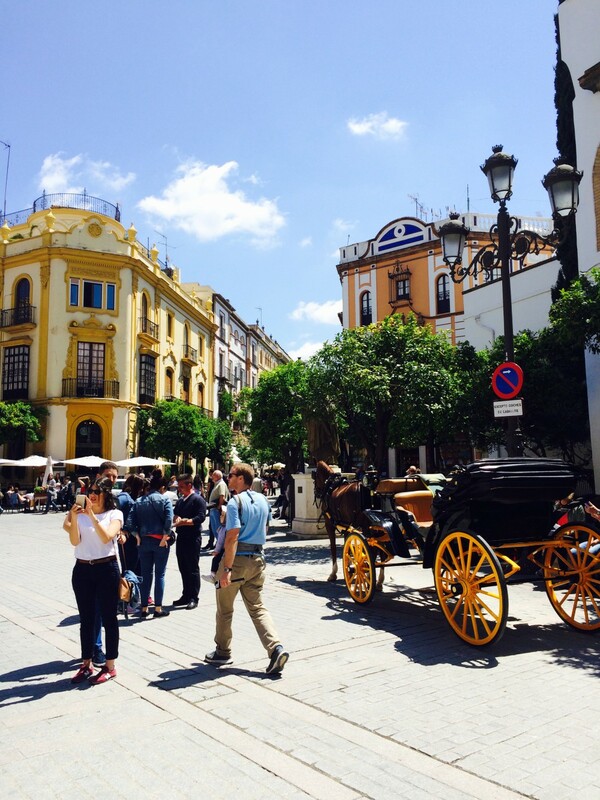 Why not join us on one of our next trips to Spain where you’ll get to visit Barcelona, Madrid, Salamanca, Seville, Mijas and more! Canals, bicycles, windmills, marijuana, wooden clogs, cheese, Anne Frank’s house, and stroopwafels… these are all things people often associate with Amsterdam. 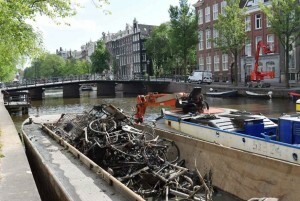 But there is much more to Amsterdam than meet the eye! 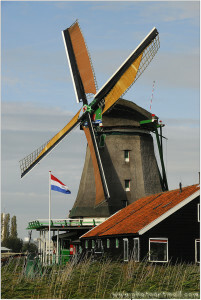 Here are five random facts you might not have known about the Dutch capital. 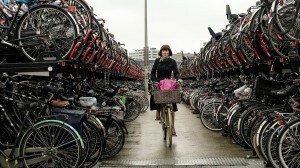 Amsterdam is a city built for bicycles almost more than it is built for cars. 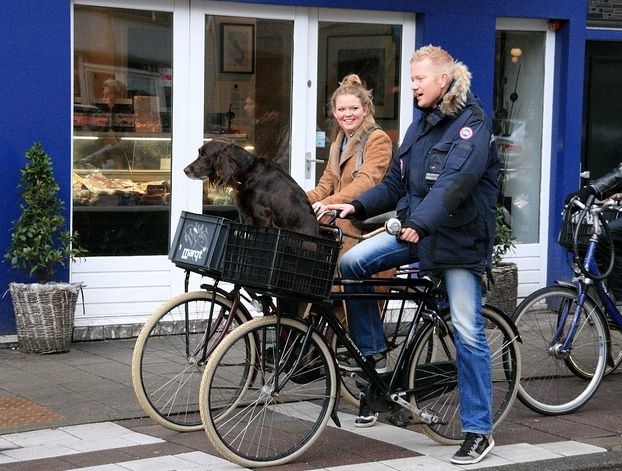 It is a well-known fact that the city is ruled by cyclists of every shape and form. In fact, 60% of traffic is attributed to cyclists. Some walk their dogs by bike, others transport kids or furniture, and still, others simply make their way to work by bike whilst eating an apple and texting at the same time! 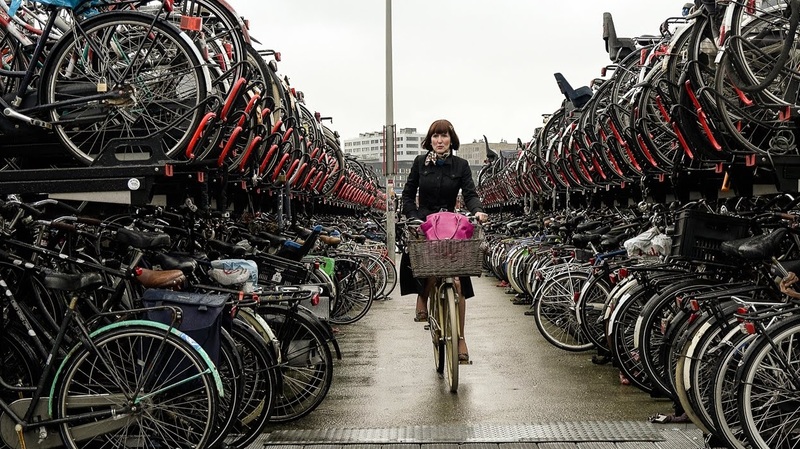 There are roughly 850,000 people living within the city limits of Amsterdam, and it is estimated that there are more than 850,000 bicycles in the city. 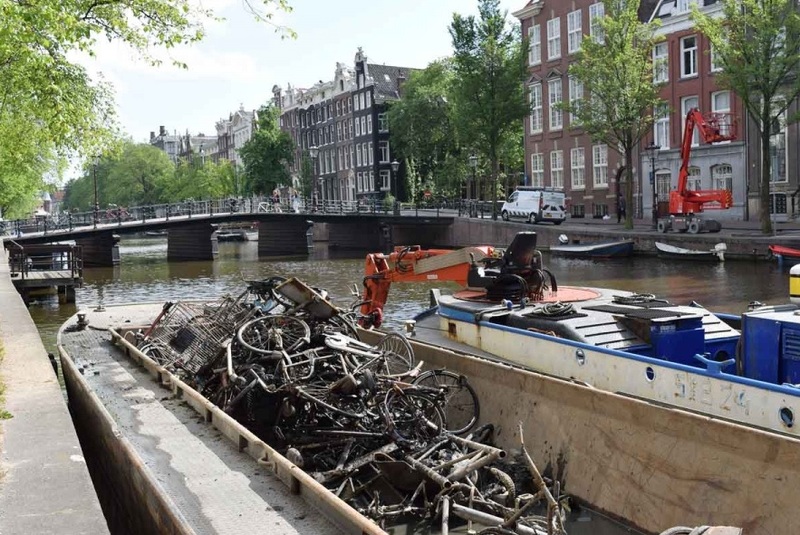 There are 165 canals in Amsterdam – which means there’s clearly a lot of opportunities to fall into the water… Did you know that between 12,000-15,000 bicycles end up in the canals every year? Well, with more 165 canals, one would expect a lot of bridges. 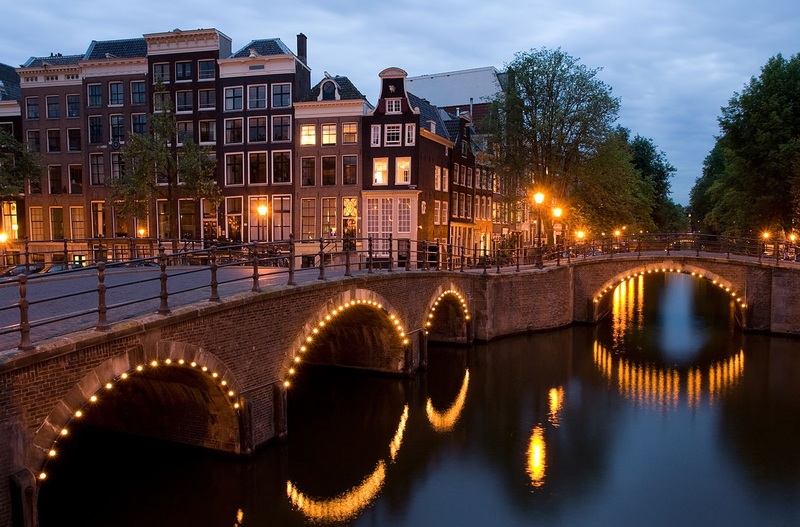 Amsterdam is said to have 1281 bridges – almost three times as many as Venice. 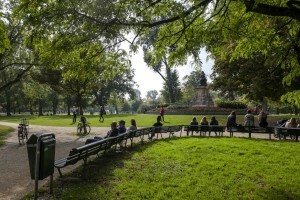 Even though it’s a city, parks and public spaces abound in Amsterdam. There are more than 30 parks in the city to pick and choose from, including the Vondelpark, which is said to attract some nine million people each year. Low-income residents are allowed to take their pet to the vet for free once a year. Amsterdam is a wonderful city to explore. C the World would love to have you on our next tour! Find out more here. Many a great city with great people and great food exists – we all know that. Portugal is one of those places that mustn’t get left off the list. In fact, in the eyes of the Portuguese (just like the Italians), food is always a cause for celebration. 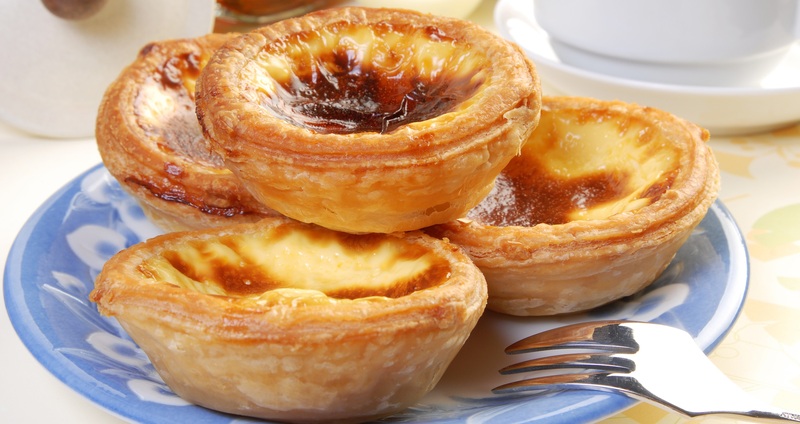 Known around the world for its sweet treats from heaven, otherwise known as Pasteis de Nata, its mouthwatering peri-peri chicken, sardines, and more, Portugal is an unending well of goodness for those who travel after their noses and stomachs – and even those who aren’t necessarily foodies may just find themselves converted. We know what you might be thinking… really? Sardines? 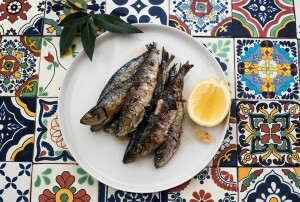 Few things beat good an ol’ grilled fish – let alone the Portuguese’s grilled sardines. 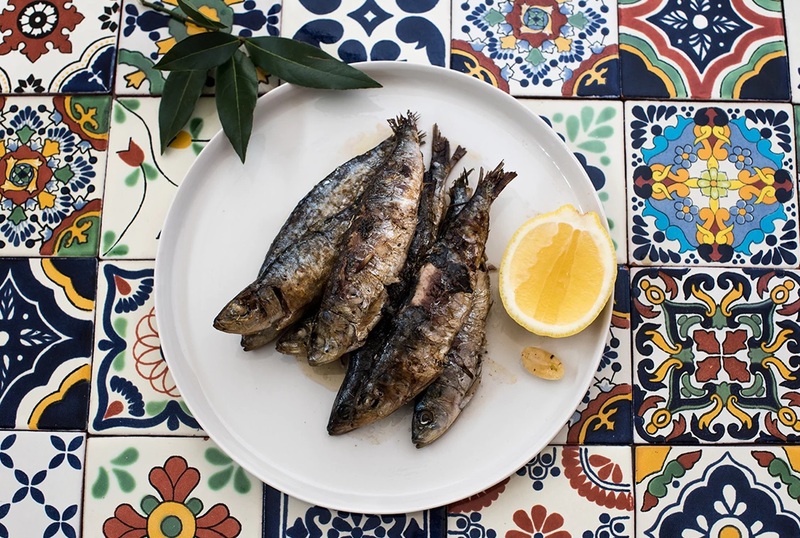 A perfect, affordable snack and a staple of the country, sardines can also quickly be turned into a full-on meal (think sardines on a fresh Portuguese roll…). Keeping to the fresh seafood, bacalhau is another must-try when discovering Portugal. Also known as salted, dried codfish, this dish is extremely popular throughout the country. Did you know there are apparently more than 1000 recipes for it?! 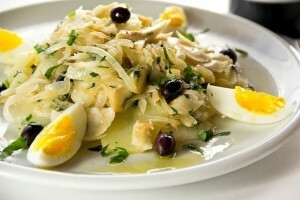 Bacalhau is usually prepared on the grill (although some do boil or bake it). When a local offers you bacalhau, or when you see it on a menu, don’t think twice – go for it! Even though this name might sound like everything else but food – don’t let the name fool you. Just imagine: thinly-sliced pork cutlet, marinated in a white wine and garlic mixture, slapped on a fresh, oh-so-soft Portuguese roll. Makes your mouth drool, doesn’t it? 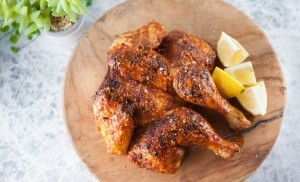 A restaurant that serves grilled chicken in a home-made peri-peri sauce is as common in Portugal as a pizzeria is in Italy. Usually served with rice or fries, it’s a classic Portuguese dish and it’s an absolute must-try. Made with puff pastry and filled with the most decadent custard in the middle, these tiny custard tarts are more than just tarts. They are actually heaven in your mouth. 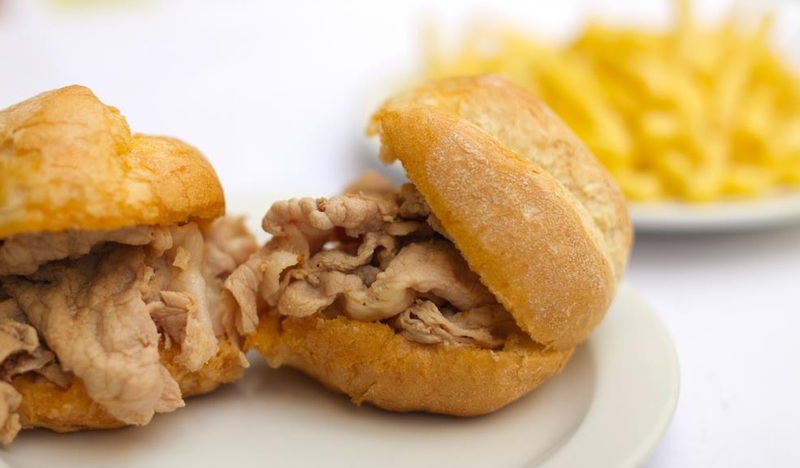 They are readily available throughout the country, but some of the best ones are found in Lisbon and Alcobaça. Aperitivo in Italy: what it is and why it’s so cool. Certainly one of the best things about Italy is the food and culture. Sure, the art, architecture, and rolling hills of Tuscany are incredible. But there is something very unique and special in the combination of food and culture. You cannot, in fact, separate the two. Perhaps one of the coolest Italian traditions is aperitivo – or “pre-dinner drinks and snacks”. For students and budget travellers, it is often a sneaky way to eat on the cheap. For locals, however, it’s truly a way to get ready for or to “open the appetite” for dinner – which is usually only around 9-10pm. Even though Italy is famous for having particular regional specialities, aperitivo is something you’ll find in almost every single town. The only difference might be the price – Milan, Rome, Venice, and Florence being the most expensive cities. If you travel to Italy without experiencing aperitivo, you’ve certainly missed out on one of the best cultural experiences. Most bars and restaurants in Italy offer aperitivo between 6-9pm. Usually, you’d pay a set price for a drink and then you’ll either have the green light to help yourself at the buffet snack table, or you’ll be served some snacks with your drink at your table. Most places will put a markup on the drink in order to compensate for the snacks that are included. 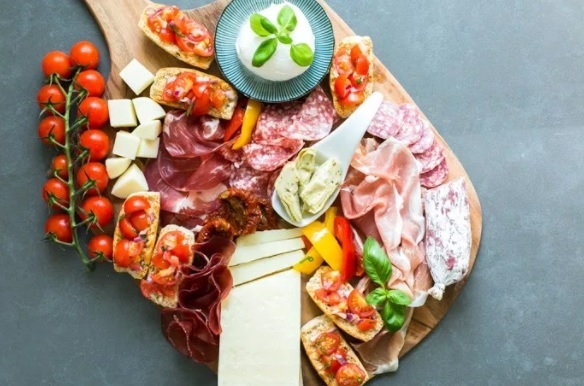 The food selection varies from place to place but you could find anything on a buffet table ranging from fresh salads and cheeses to cold meats, bruschetta, a variety of bread, pasta, and pizzas. On a spread served with your drink at your table, you can expect anything from a selection of cheeses, cold cuts, nuts, olives and so forth, or simply some potato crisps and peanuts. Having evolved from merely pre-dinner drinks and snacks (think chips and peanuts), it seems as though most bars have become so proud of their delectable aperitivo spreads that you have to have a lot of self-control as not to spoil your dinner appetite. 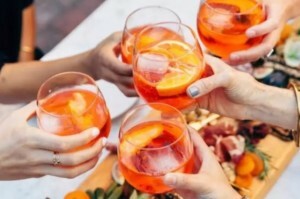 Typical aperitivo drinks include Aperol spritz, Campari spritz, Prosecco, vermut, Negroni, Americano. In Milan you can expect to pay between €5 and €15, once again depending on the type of bar and snacks on offer. In smaller towns in the Veneto region, for example, you’d pay a mere €2-5 at some places. Aperitivo is great for many reasons – apart from the obvious ones mentioned above. 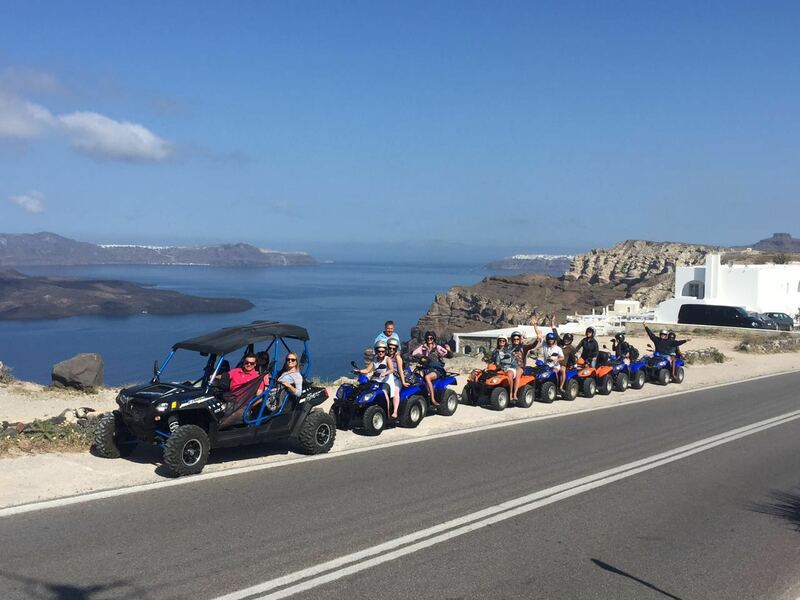 It’s an easy way to relax and socialise with friends, or to make friends if you’re a solo traveller. 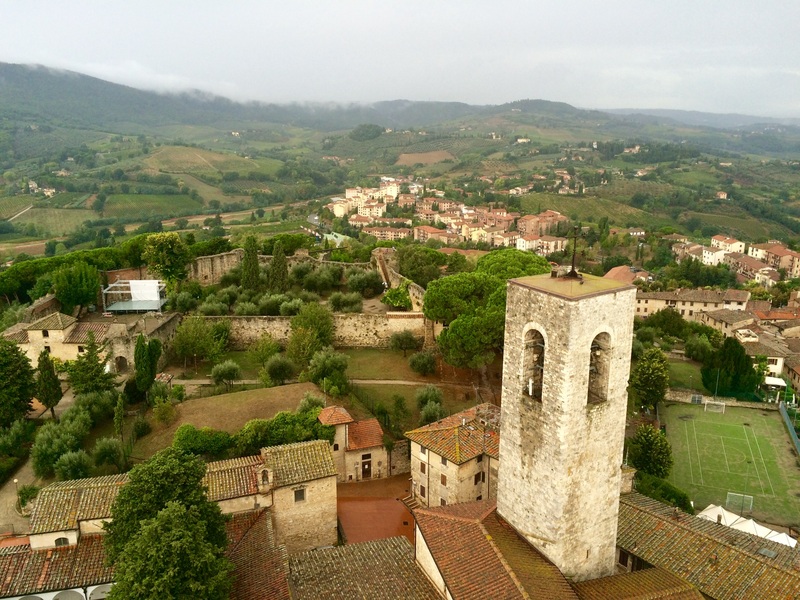 It’s also a great way to get to know a town by going ‘aperitivo hopping’ from place to place. If you want to experience la dolce vita, better do it properly! 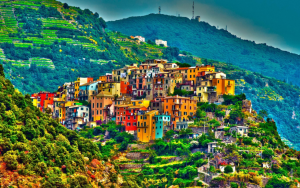 Cinque Terre is, quite simply, that place on the Italian Riviera where people take those magnificent pictures (usually at sunset) of colourful village houses tucked away between the cliffs which makes you want to quit your job and hop on the next plane out. 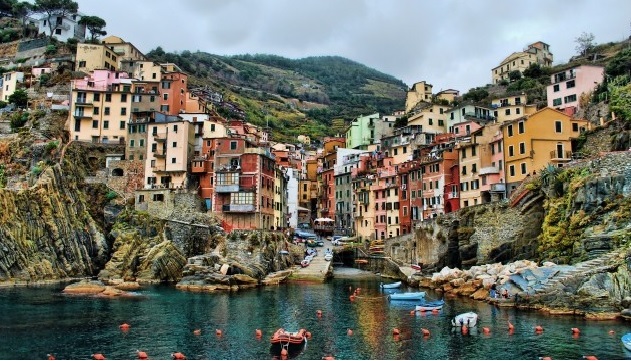 What is “Cinque Terre” and why do you need to visit? 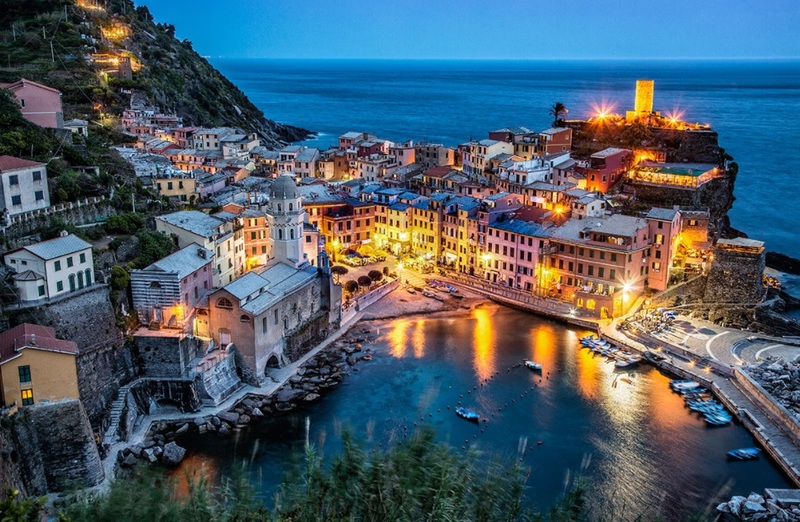 Actually, many people think Cinque Terre (five towns) is one place when, in fact, it’s five different small fishing villages or ‘hamlets’, if you will. 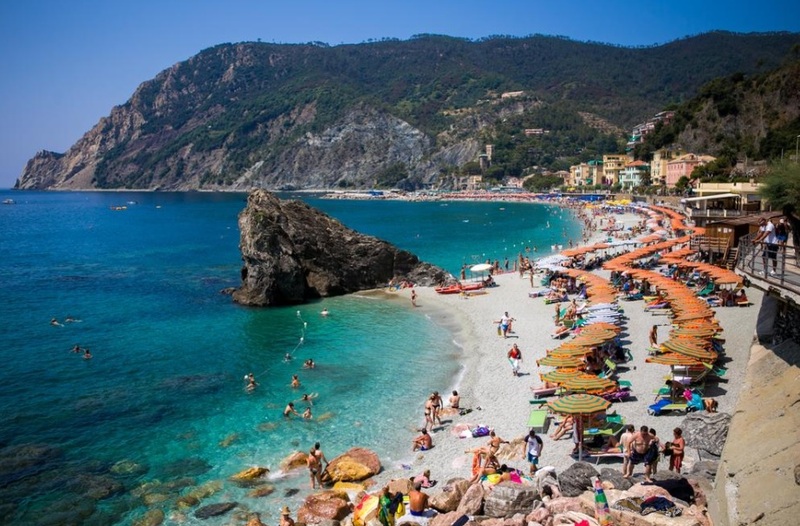 Why you need to visit Cinque Terre? Even though Cinque Terre is a popular tourist attraction, there’s just something different about it. Perhaps it’s because there are no queues of 100+ people waiting to enter a church tower. Perhaps it’s the crystal-clear ocean water that screams “come jump in!” around every corner as you wind through the cobblestoned streets. Or, perhaps, it’s the nostalgic feeling of an era gone by but still somewhat preserved in these authentic, old towns. 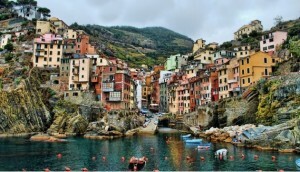 The villages of Monterosso, Vernazza, Corniglia, Manarola, and Riomaggiore make up the Cinque Terre. 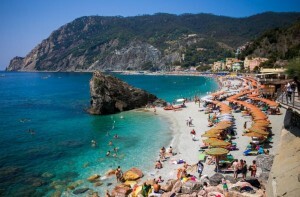 Monterosso is the biggest of them all and boasts many sandy beaches, rows and rows of beach chairs and beach umbrellas. In comparison to the other four, Monterosso is a chilled spot with way fewer stairs to climb and pebbles to hurt your feet. 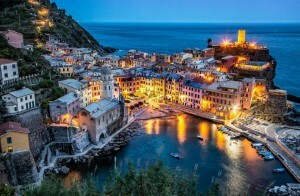 Vernazza is special for many reasons. This is where you want to sit at a sea-facing bar in Piazza Marconi with an ice cold glass of wine or spritz and relax as you people-watch and soak in the beauty around you. Remember, this is Italy! When you travel Italy, you have to learn to slow down and relax. Thanks to the horrible floods a couple of years back there is now a small rocky beach. 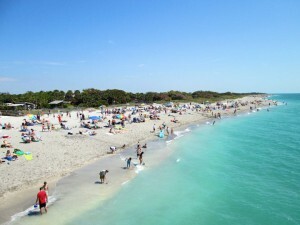 However, many people simply enjoy jumping in the water from the pier. 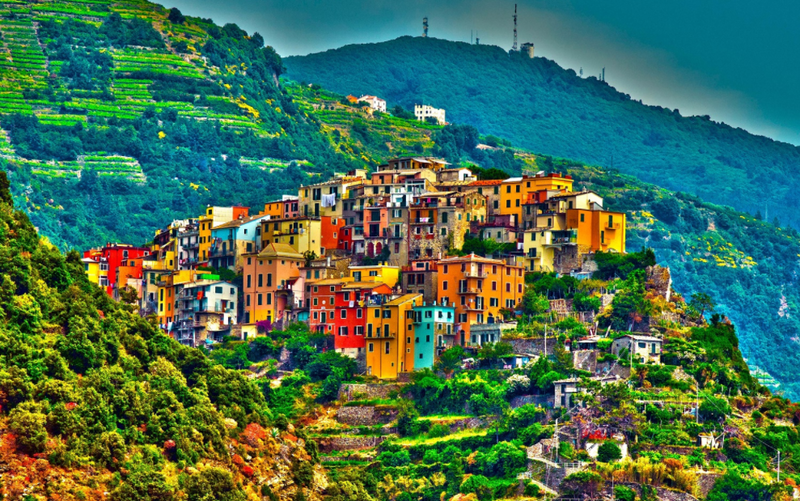 Corniglia is the smallest of all the Cinque Terre, and that’s probably why it’s so magical. Many people, on their arrival, give the 360+ stairs up to the town from the railway one look, sit down, and wait for the next train to pick them up. But don’t lose heart! There is also a shuttle that operates throughout the day. Even though Corniglia takes some effort (after you’ve climbed the stairs to get to the town, you have to climb down the other side to get to the best swimming spot), the reward is great on the other side. Absolute paradise. There are also beautiful, quaint shops and restaurants in the village. 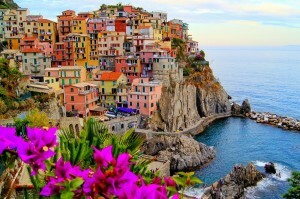 Manarola is famous for its sweet Sciacchetrà wine which is made from the surrounding vineyards’ grapes. We know, romance in a bottle. This village also boasts a great swimming spot in the small harbour. 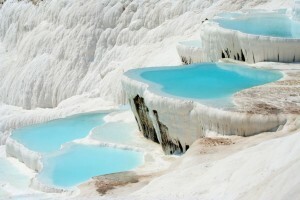 Sunbathe on the rocks and, if you’re feeling brave, jump in from the high rocks as the water is nice and deep. This fishing village has a pebble beach as well as a great swimming spot in the small marina that is both lovely for swimming. After a refreshing swim, stroll through the streets with its peeling buildings or stop for a delicious pizza as you enjoy watching how people do life here: men playing cards and women hanging washing and chatting in the streets. One of the essential things to remember on your visit to Cinque Terre is comfortable shoes so you can enjoy the dreamy ancient footpaths that connect the villages. For those not so keen on walking, don’t stress! There is also a train that runs frequently between the villages as well as boat rides. 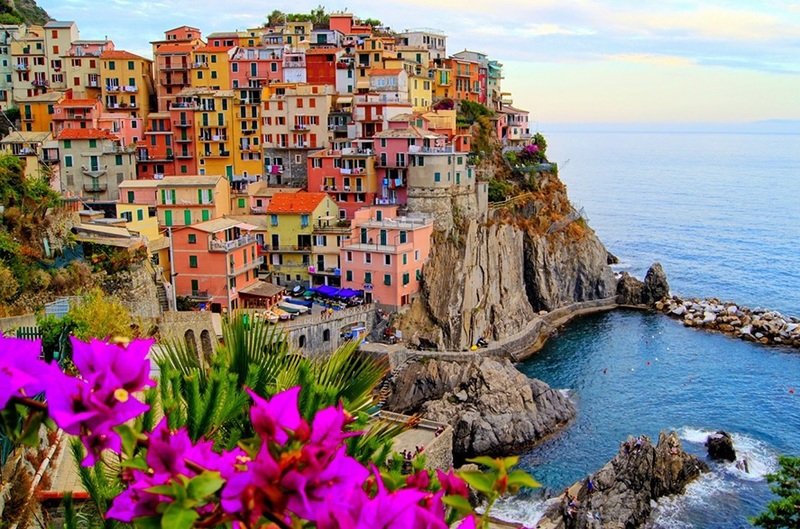 We know there are many awesome travel destinations in Europe, but Cinque Terre definitely needs to be on your list! 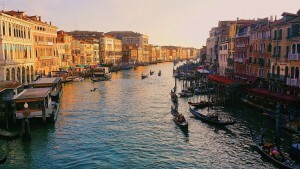 The capital of the Veneto region of northern Italy, Venice comprises of over a 100 small islands in the Venetian Lagoon. Knitted together by canals, bridges and walkways, Venice has no roads and when you get there you wouldn’t want to drive anyway. The walkways and waterbuses as well as vaporetto are the means of transport and are perfect ways to get a true experience of Venice. 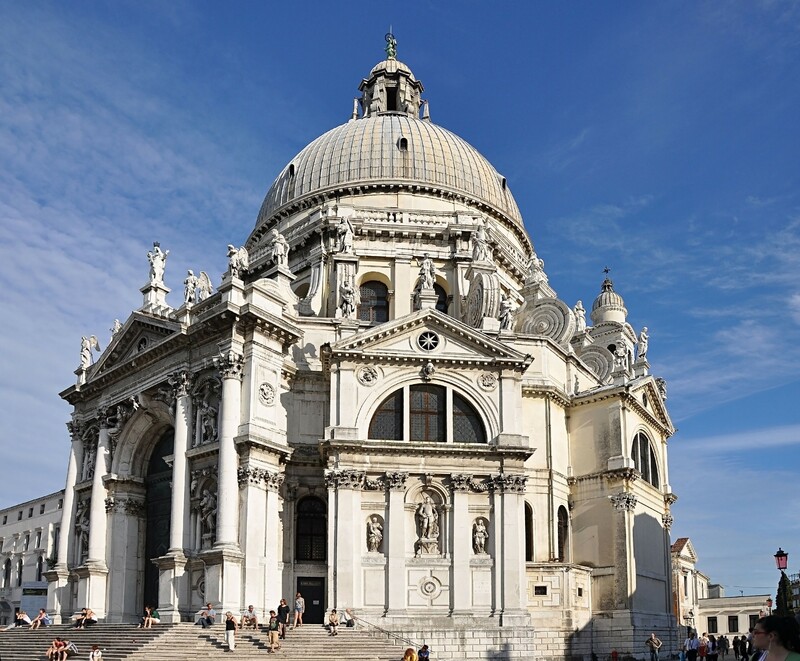 Here are few things to do in Venice, some of which are included in the Best Europe Tour. 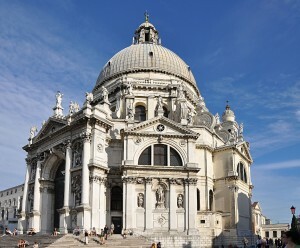 The 17th-century-domed church guards the entrance of the Grand Canal. 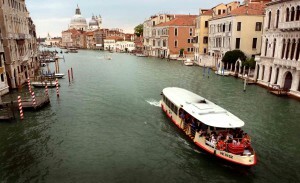 About 40 kilometres of canals tie over a 100 islands together that stream and join at the Grand Canal. What you’ll find really beautiful and fun is to stroll through the vast web of alleys and side walkaways that connect the islands. 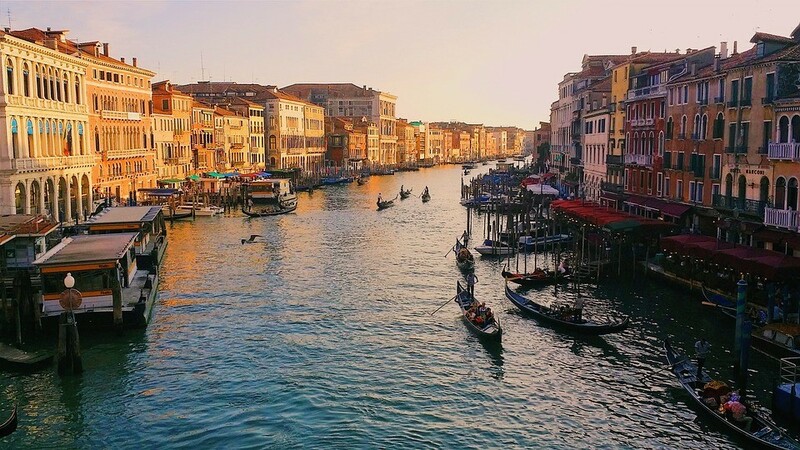 While the walking around and taking in the scenery is enough to take over your entire trip, you cannot visit the Grand Canal without going on a cruise along the streams on a boat called a vaporetto. Other than being the quickest way around the gondola, these boats work like buses in the city whilst offering magnificent views of surrounding buildings. 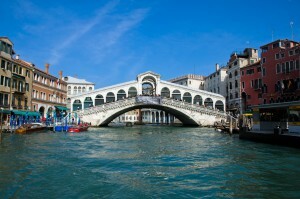 Arguably the heart of Venice, the Rialto Bridge was built in the 16th century. 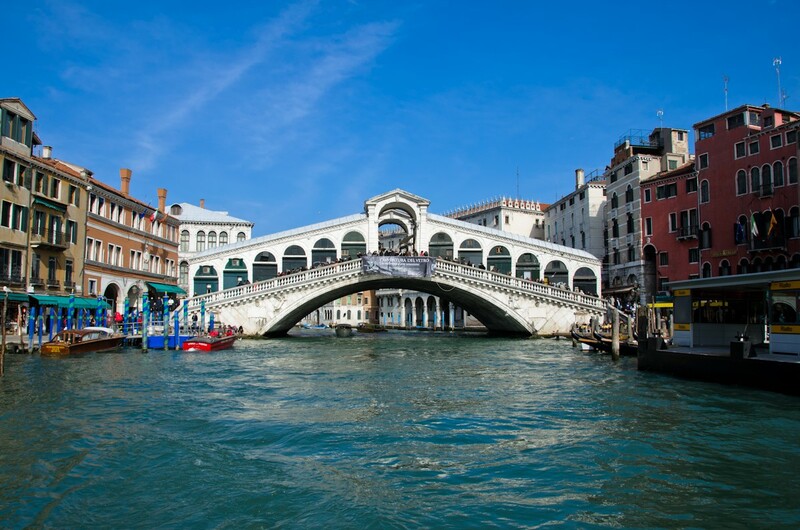 Since then, the Rialto Bridge was the only way to cross the Grand Canal before the Accademia Bridge, which was built in the 1854. It is said that approximately 12 000 wooden pilings has supported the bridge for more than 400 years. The structure is built with three walkway diversions, two of which located on the outer balustrades. 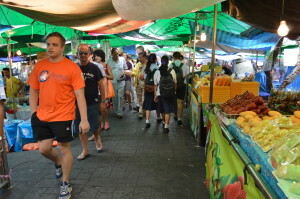 The central walkway stretches between two rows of shops, which is a perfect opportunity for tourists to find souvenirs. Situated north of Venice in the Venetian Lagoon, the Murano are a group of islands linked by bridges. 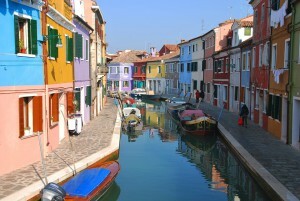 Murano is well known for glass making, where glass artisans perform at craft shows and festivals. These amazing artisans blow glass baubles, beautiful works of contemporary art. Lido better known as the Lido di Venezia is popular for hosting tourists as a summer resort. It’s location separates the Venetian Lagoon from the Adriatic Sea. This is a great spot to catch some sun and get away from the urban vibe that is often crowded depending on the time of year. 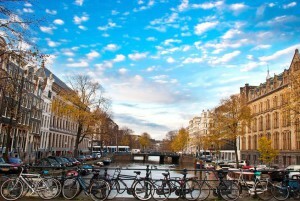 Amsterdam has many popular attractions to explore. 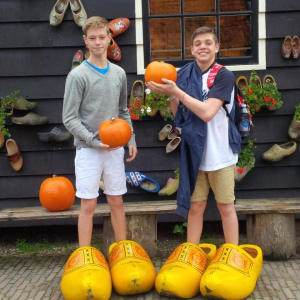 Some of which are significant to history and others worth exploring if you want to dig into the Dutch culture. The Red Light District is located in the city of Amsterdam. Lined with medieval alleyways, the Red Light District is locally known as De Wallen. The area is southeast of the Central Station and is in close proximity to the neon-lit canals of Oudezijds Voorburgwal that run from the Grimburgwal to the Sea Wall. Merging into the Oudezijds Kolk. At the Heineken Brewery you can expect an informative and interactive experience. 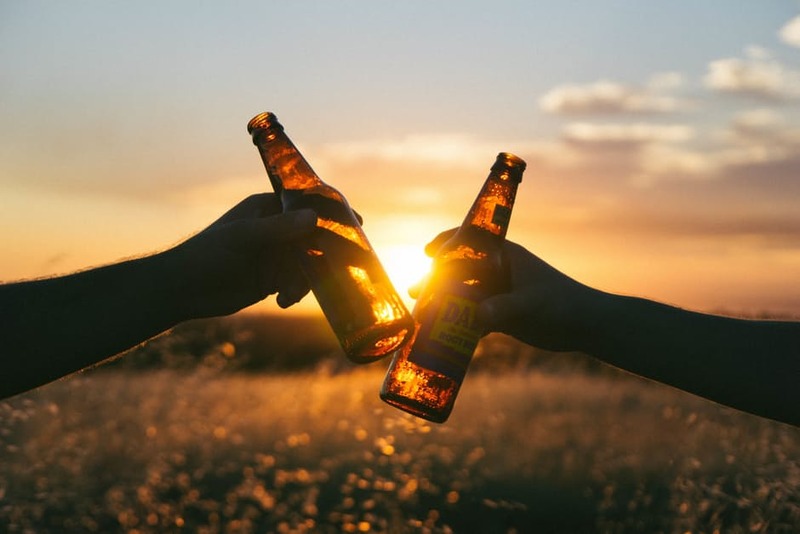 With several different brewery tours, either way it’s a guarantee that you’ll have a brilliant time. This is a must to visit when touring Amsterdam, as the Heineken Brewery isn’t your usual brewery museum. Part of the experience is a walk through on how beer is created. What’s more, after the tour and activities, be sure to make your way to the rooftop to enjoy your Heineken drinks overseeing mesmerising views of the beautiful city. A self-guide tour, at the Anne Frank’s House will take you back to the devastating past when Anne Frank and her family hid from the Nazis. The rooms in which the family hid is perfectly preserved and displays the harsh reality of life for Jews during the Holocaust. Just being able to walk in the very rooms where the family lived is moving and offers great insight into the strength and plight of those who were oppressed. Otto Frank did a great job at documenting what the family and those who perished endured. The main feature of course is the diary of Anne Frank, well known for its raw truths. Every single page of her diary is in a glass display for visitors to view. Ensure that you order your tickets online as you can expect quite a long queue, as queuing visitors only enter after 3 p.m.
Visit this restaurant for what could be the best pizza you’ve tasted, well at least in Amsterdam. A culinary journey through some classic French dishes in a relaxed setting. For fast yet amazingly good food, head over to Café George, which is well known for serving delicious steak fries and risotto. As beautiful and lively as the Leidse Pleins is, the Buffer van Odette gives you a break from the hustle and bustle. Travelling alone: tips for a spectacular solo journey. So you’ve decided to venture on a solo journey, as you haven’t found a suitable travel buddy. It’s a scary feeling. Many fear loneliness. Stress no more, here’s a brief guideline to traversing beautiful destinations without a friend to tag along. Safety can be a huge concern when travelling alone. And while the saying goes “safety in numbers”, it doesn’t necessarily mean that you’d be at risk. There are many ways you can avoid being singled out. No need to fret as being alone means that you can easily fit into a group without drawing attention to yourself. One of the biggest fears is the feeling of loneliness. This is probably one of the main reasons why people put off travelling. But when wandering through magnificent destinations such as Europe, you’ll find natural meeting spots, especially during peak season. Here you can meet and interact with people from all around the world. 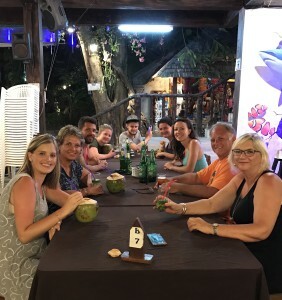 Eating out is another way to interact with locals. It’s about tasting different foods and exploring a new destination. And so, it’s a great excuse to get out and experience the culture. Even when you’re dining alone, hopping around from restaurant to the next will prove fun. Keep busy by making it your mission to photograph as much of your trip as possible. 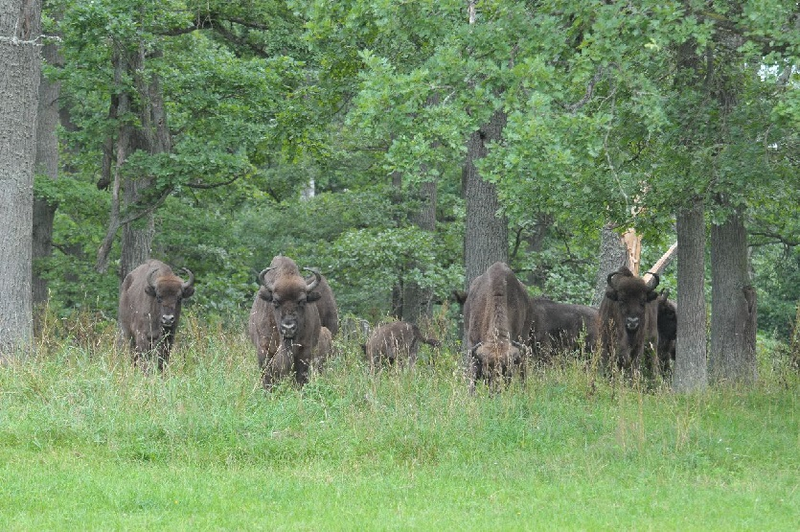 By photographing as you tour, you’ll be capturing precious memories. When you return home, you’ll have plenty photos to show family and friends.